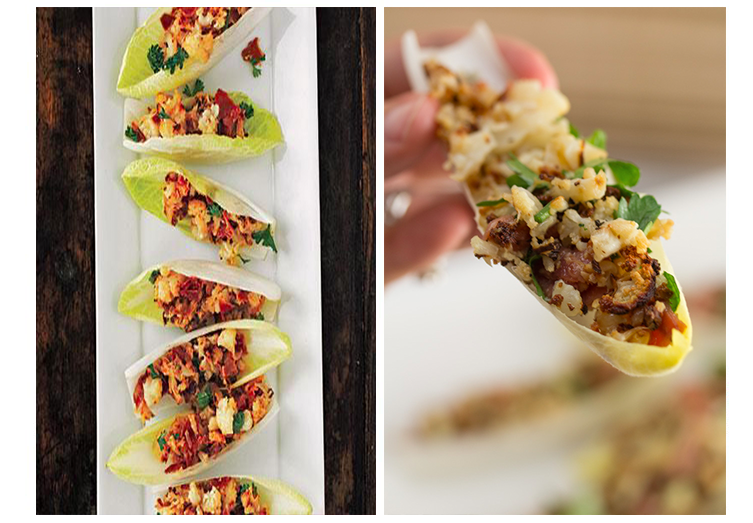 Thanksgiving is quickly approaching and we’re taking a tiny break from our wedding planning priorities to give you all some last minute turkey-day hors d’oeuvres inspiration! We know, you’re thinking “Really? 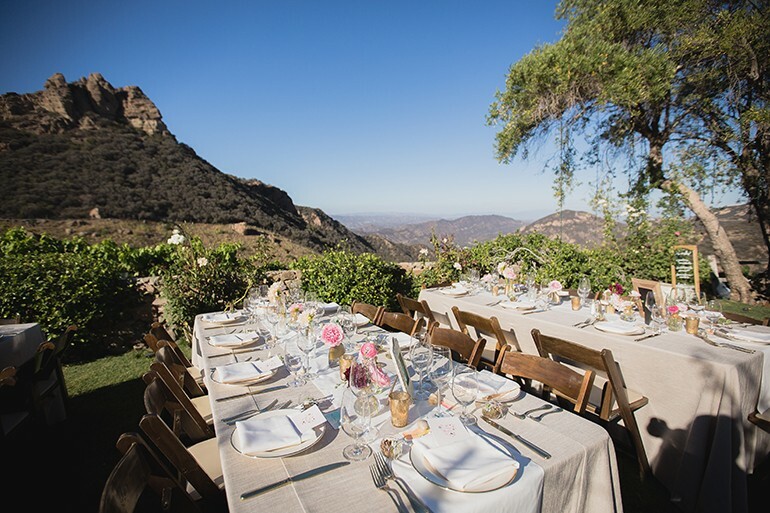 do I need to serve hors d’oeuvres before the biggest meal of the entire year?” Take our word for it…you do! 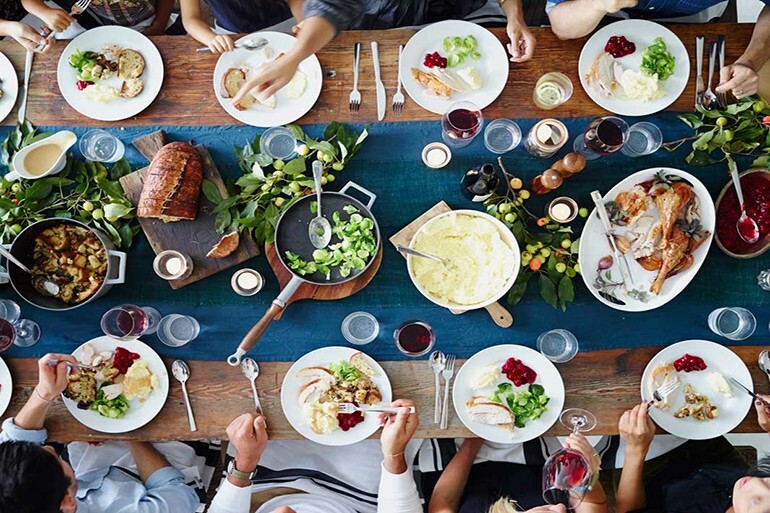 Serving up some of these quick and tasty apps will satisfy your friends and family while their mouths are watering over all the wonderful thanksgiving scents wafting throughout the house. If nothing else, it’ll keep their little fingers away from swiping the perfect whip cream dollop off of your pumpkin pie, or nibbling on your dinner rolls before they’re served. Instead, your guests will be begging for your pre-game recipes. Little will they know just how easy to make these tasty bites are! 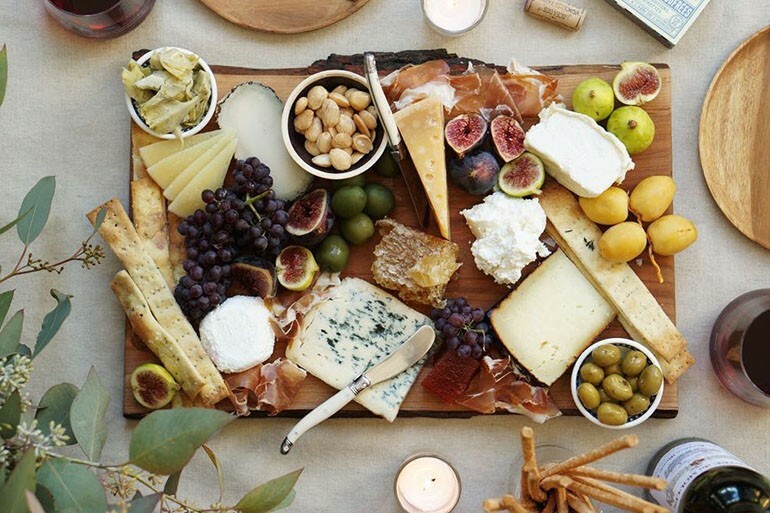 We understand, up until now your idea of the perfect cheese platter was something a little closer to wheat thins and a wheel of brie than this gorgeous spread. Fear not, cheese platters although impressive in appearance, are actually quite easy to accomplish. It’s all about choosing the right items. Once you have them, there is virtually no work involved. Just spread out the goodies and let your guest have at it! 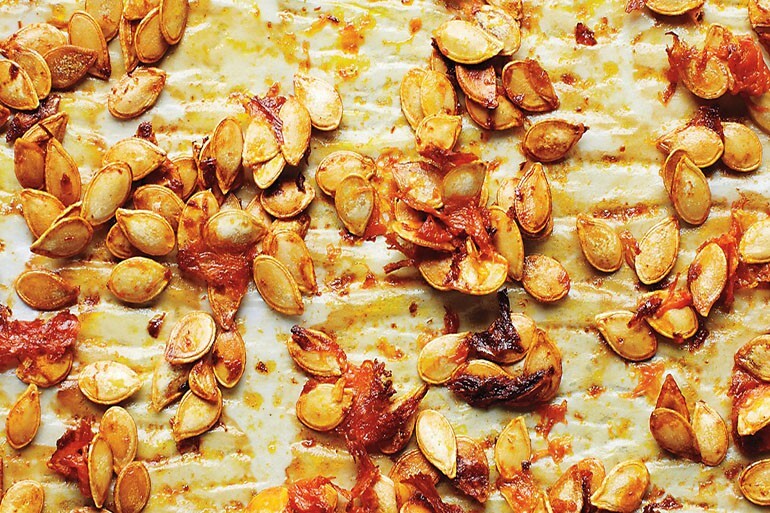 We personally are obsessed with Honestly Yum’s fall-themed rendition of this party staple. 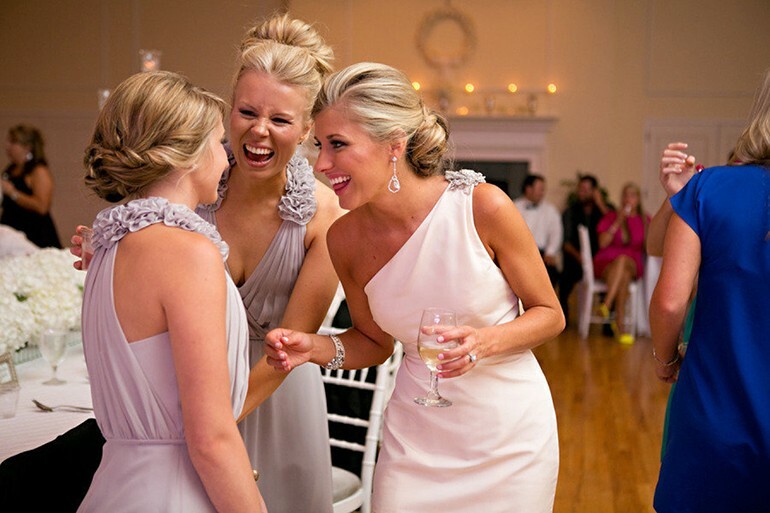 They outline all the necessities and even help with planning where to place different items. For starters, this appetizer is super easy to make. Plus it’s light and tasty. You can check out the complete recipe on Damn Delicious but just a hint, cook time is only 5 minutes. We know your guests will love this tasty twist on a simple veggie, because seriously who doesn’t love a little prosciutto? These seeds from Martha Stewart only require 6 minutes of prep time! She says that in order to get the ultimate fall flavors out of these little snacking seeds you should keep some of the pulp while baking. We’re all about skipping the time you’d usually spend sorting and rinsing the seeds. I know you’re thinking “proscuitto again?” Sorry, we just couldn’t resist this scrumptious finger food found on My Recipes. If you’re worried about filling your guests up too much before the big meal, offer them these oh-so-light stuffed endives. Our mouths are watering just looking at these bite-sized mushroom hors d’oeuvres. 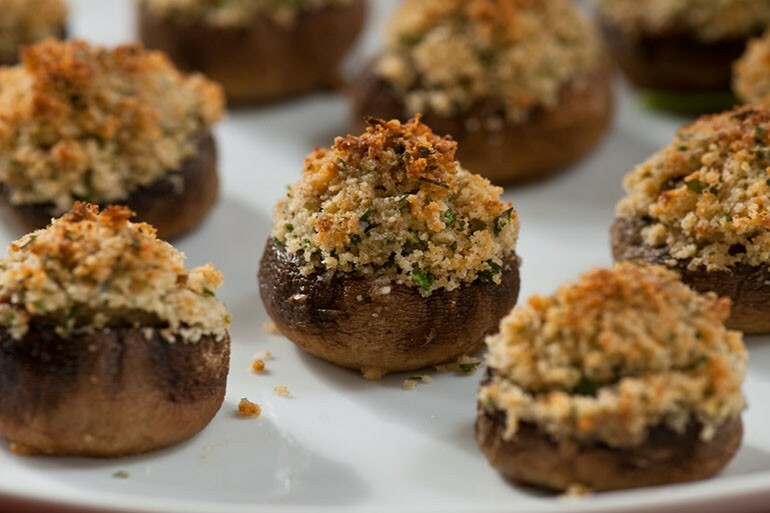 Little mushrooms make the perfect base for the gooey pecorino romano cheese stuffing and crispy bread crumb topping. 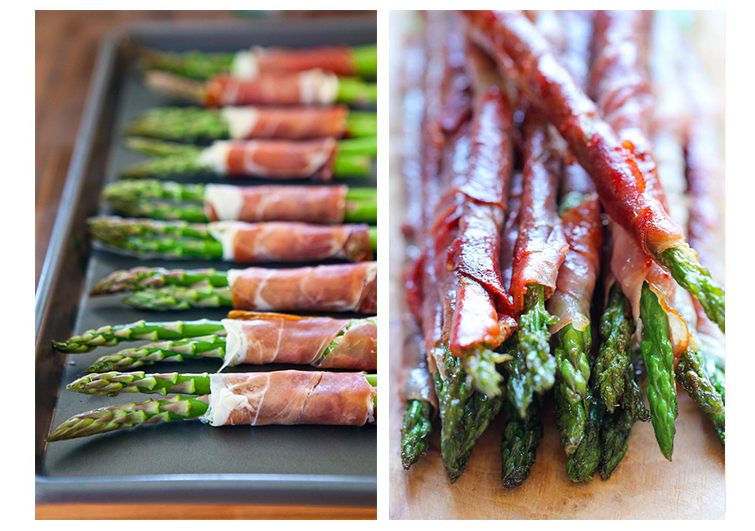 Get celebrity chef Giada De Laurentiis’ recipe for these tasty appetizers here. Nothing screams the holiday season quite like cinnamon-sugar! Spiced nuts are a sweet eat that will hold your guests over while they patiently await the main meal. 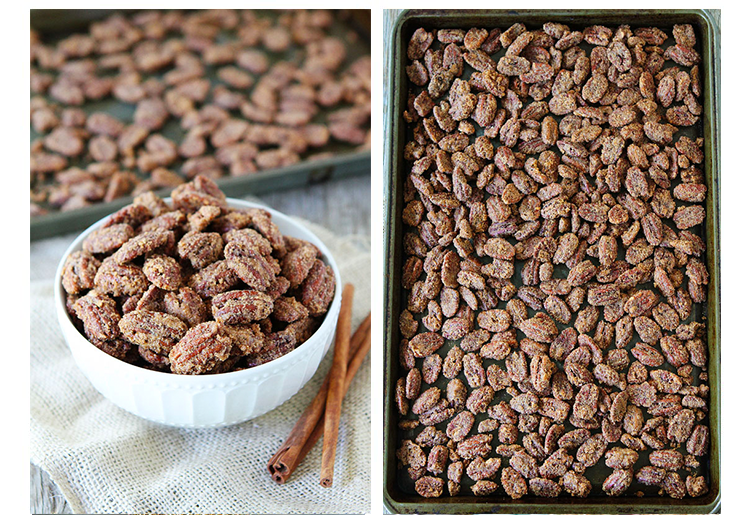 These candied pecans from Two Peas & Their Pod are super easy to make. They do however take a little longer to cook so we recommend whipping a batch of them up the day before thanksgiving (that’s right we mean tonight!) 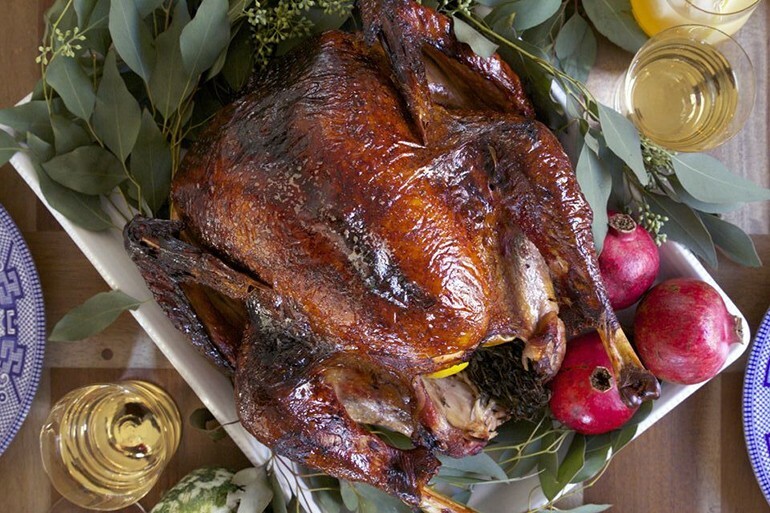 An added bonus: your house will still be smelling warm and sweet by the time your dinner guests arrive tomorrow. 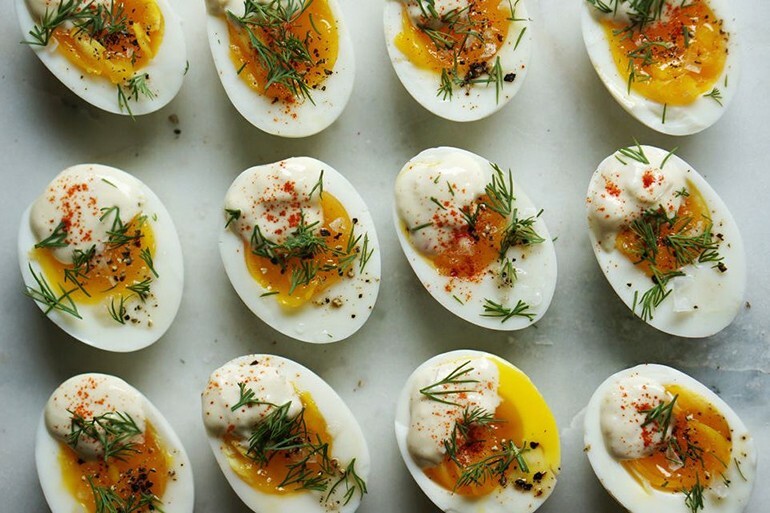 Deviled eggs are a quick an easy appetizer perfect for entertaining. They’re especially great when you have an even larger meal in the works that requires more of your attention. This deviled egg recipe from Honestly Yum is particularly quick because it relies on medium-boiled eggs rather than hard-boiled. With a simple shallot-infused mayo sauce, this new-aged deviled egg is sure to impress your guests. Spinach and Cheese dip is an all-time party favorite that you really can’t go wrong with. Naturally we turned to the master herself Martha Stewart for what we imagine is the best spinach and cheese dip you could possibly make. Cinnamon Spice and Everything Nice offers an alternative to this family favorite in the form of spinach cheese puffs. These bite-sized pastries are the perfect pairing of the dip we all love so much and the bread that goes with it…Yum! 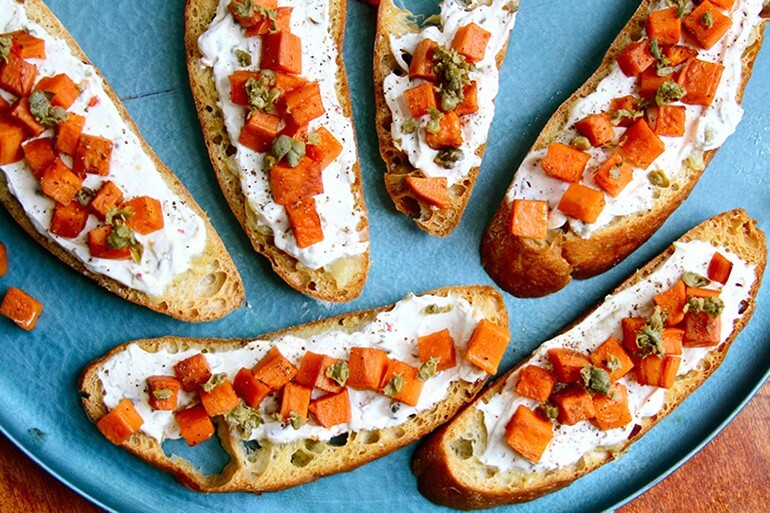 Since we’re talking apps, there is no way we can leave out crostinis. These sweet and savory appetizers from Saveur are the absolute perfect thanksgiving take on the popular toast hors d’oeuvres. The combination of creamy sweet potatoes and crunchy bread makes a holiday flavor pairing perfect for a pre-thanksgiving snack. Okay- we admit it, this one isn’t really an appetizer! We just couldn’t resist slipping a little something sweet into the mix. It’s arguable that pumpkin pie is as much a staple of Thanksgiving day as the turkey is. At least our inner sweet-tooth thinks so. 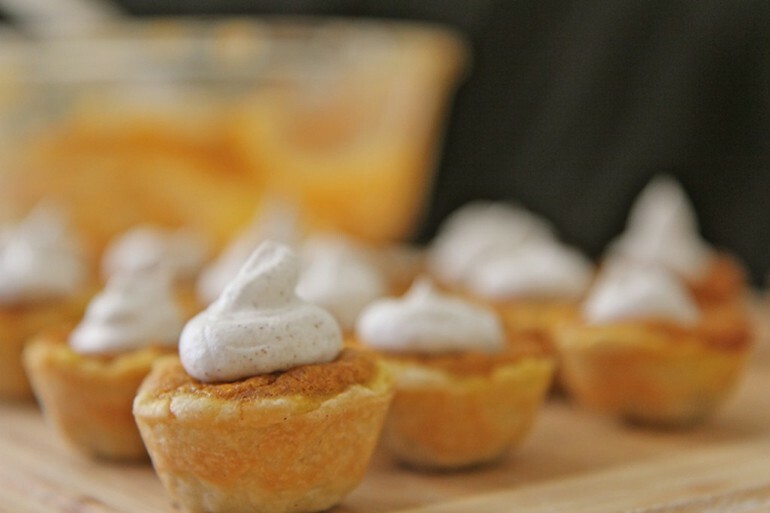 These mini pumpkin pie bites from Divas Can Cook just looked too yummy and adorable for us to pass up. With cinnamon whipped cream topping them off, we think these bite-sized desserts would make the perfect end to your holiday meal. We wish you, your family, and friends the happiest Thanksgiving Holiday. 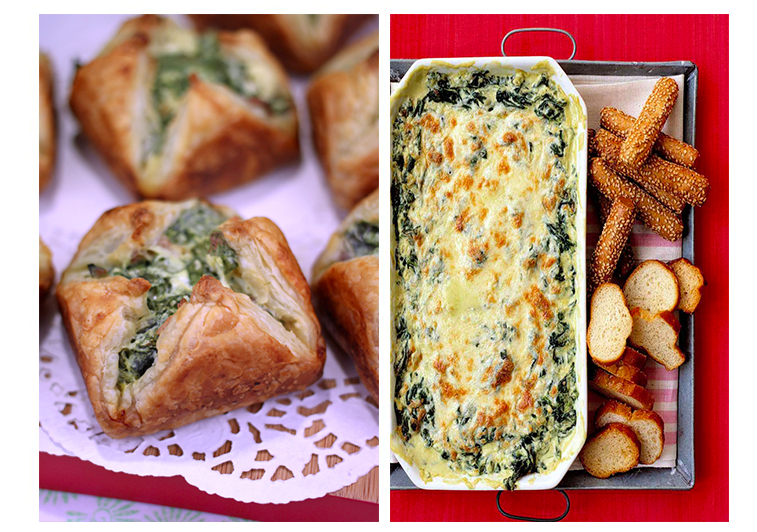 May these quick and easy appetizers (and sweet) ideas help you while planning your thanksgiving feast. 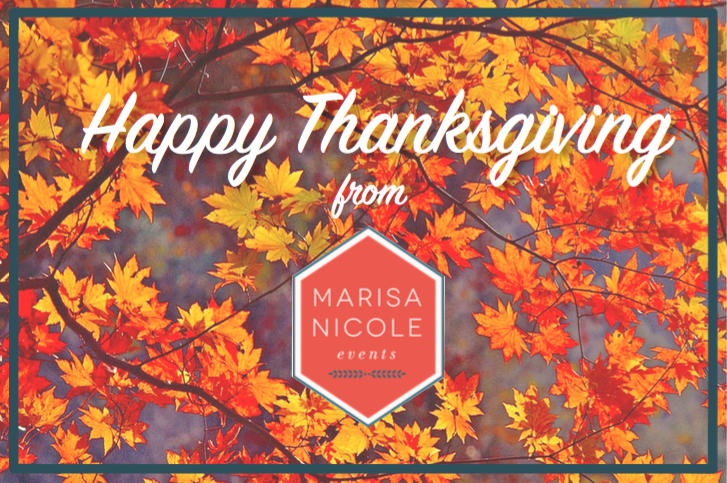 As always, we at Marisa Nicole Events are thankful for all our wonderful couples, readers, friends, and family. We hope you have fun cooking, eating, celebrating and making memories! 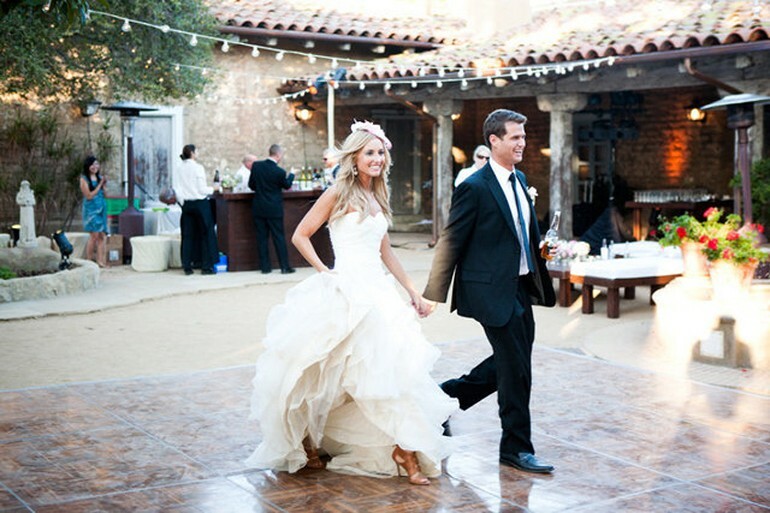 Fall is in full swing and Los Angles’ busy wedding season is starting to settle down. 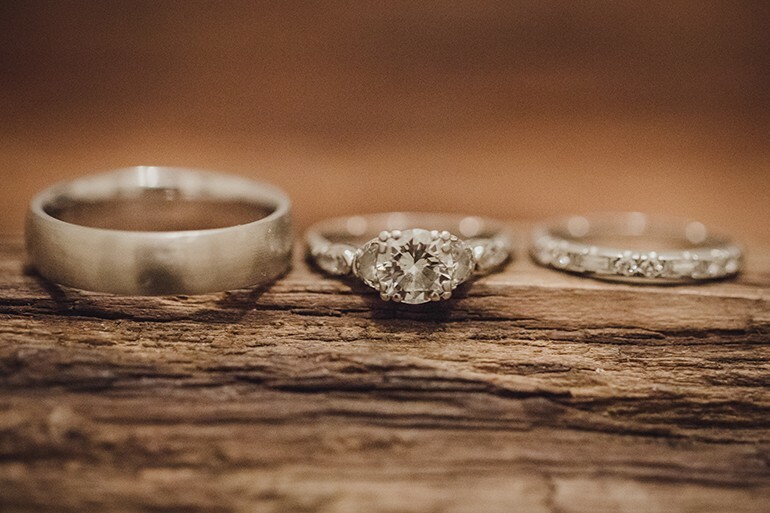 But for many of you future brides and grooms out there, the process of designing your wedding is just starting to begin. 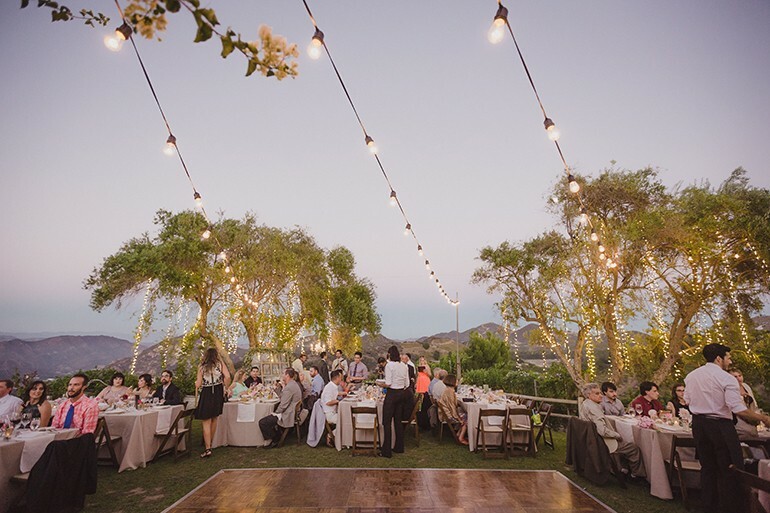 Once you’ve set a date and picked your dream venue, the fun part of personalizing your event starts! 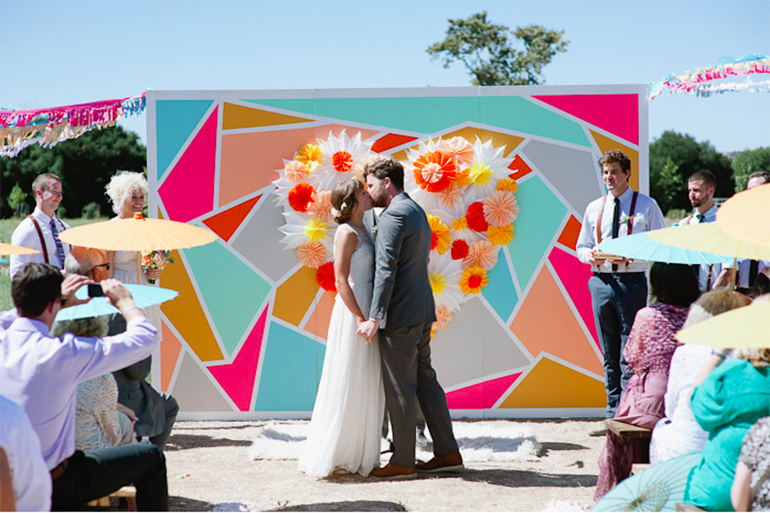 Every couple wants their wedding to be a reflection of their personal style, and a creative ceremony backdrop is the perfect place to show a little individual flair. 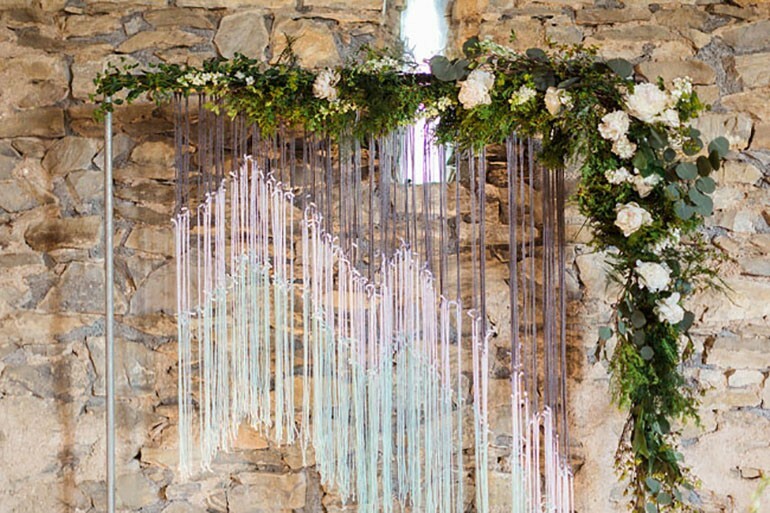 Don’t get us wrong, we love a simple ceremony arch decked out in lush flowers, but we’ve gathered some of our favorite non-traditional backdrop ideas to inspire those of you who are looking to add a little pop to your ceremony space. 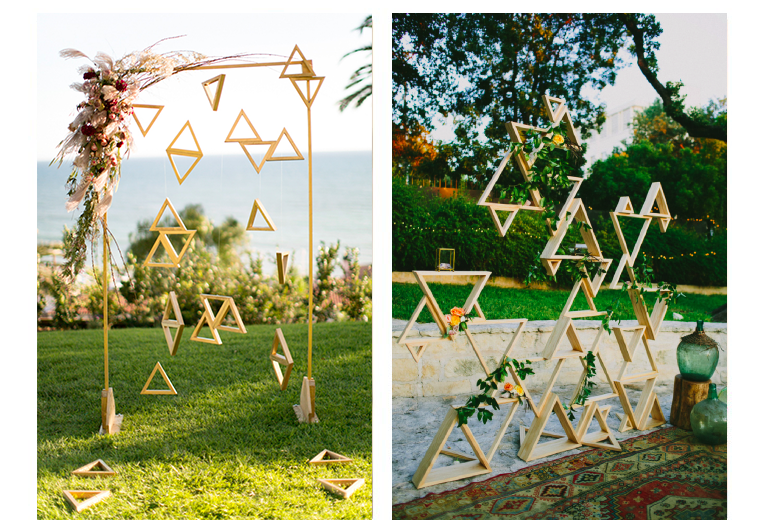 Geometric shapes like these create a cool backdrop for brides and grooms looking to design a modern setting at their ceremony. The number and size of the shapes you choose can completely alter the feel of this sleek framework. 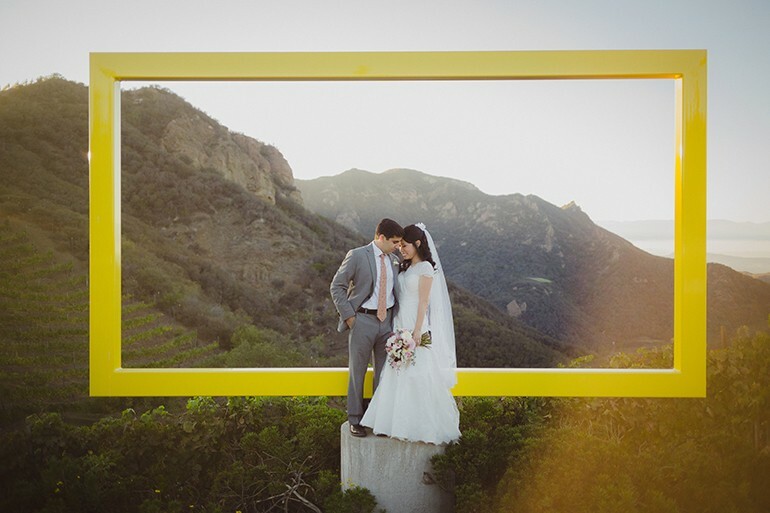 One large shape like the one featured at a recent real wedding of ours makes a simple framing effect for the couple. 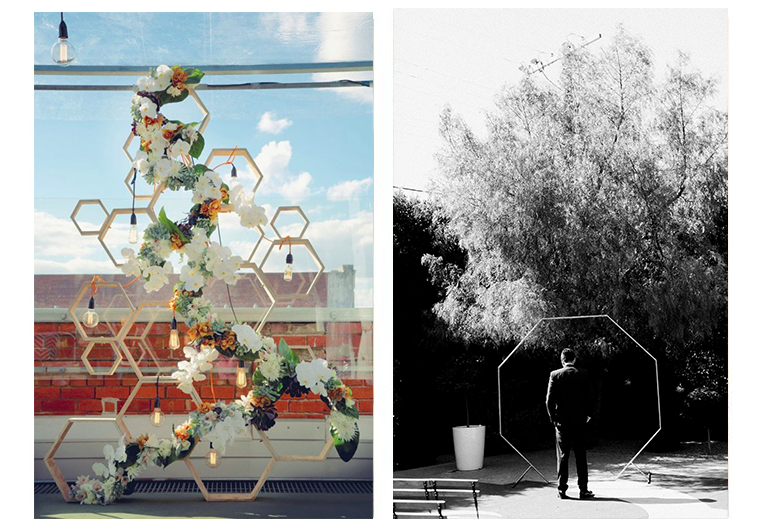 Alternatively, combining many various sized shapes creates a more multidimensional and artistic look. 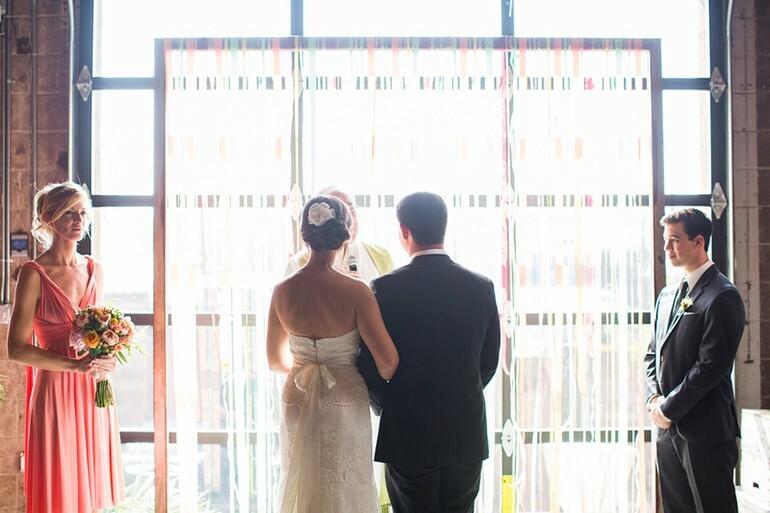 You can add some softness to this contemporary background by adding flowers and lights. 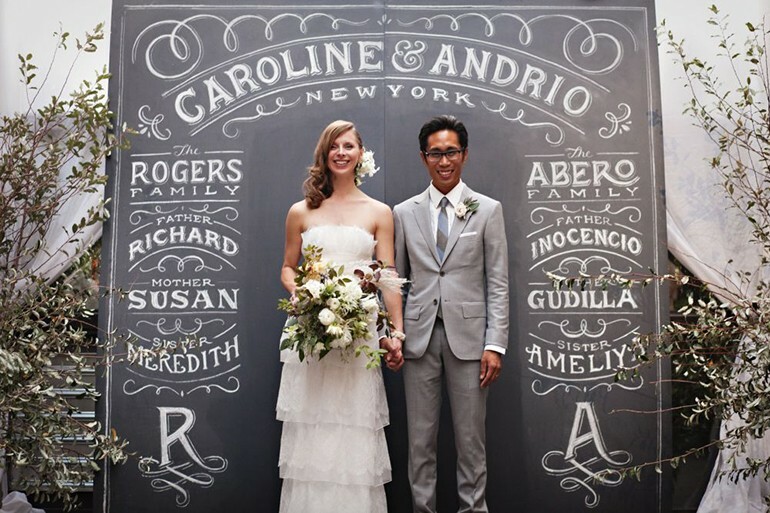 Another simplistic alternative to your traditional ceremony backdrop is the use of a sweet sign. This option is particularly fun to personalize. You and your significant other can pick a quote or saying that is especially resonant to your love for each other. 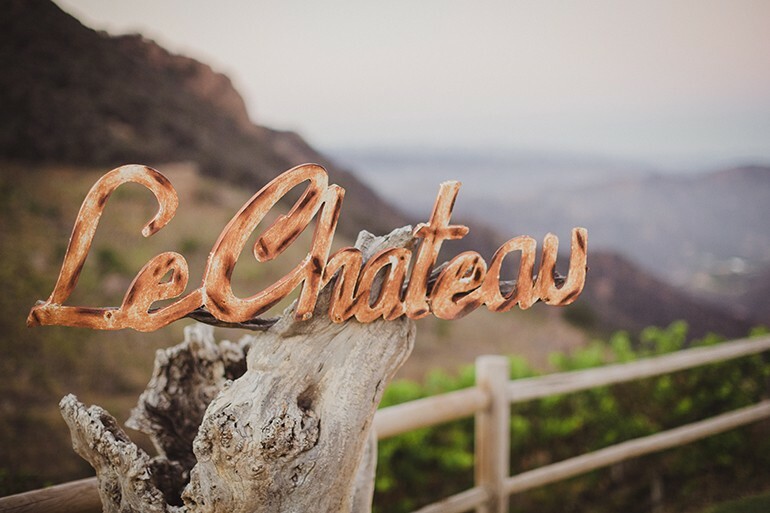 In addition, various fonts create different ambiences. 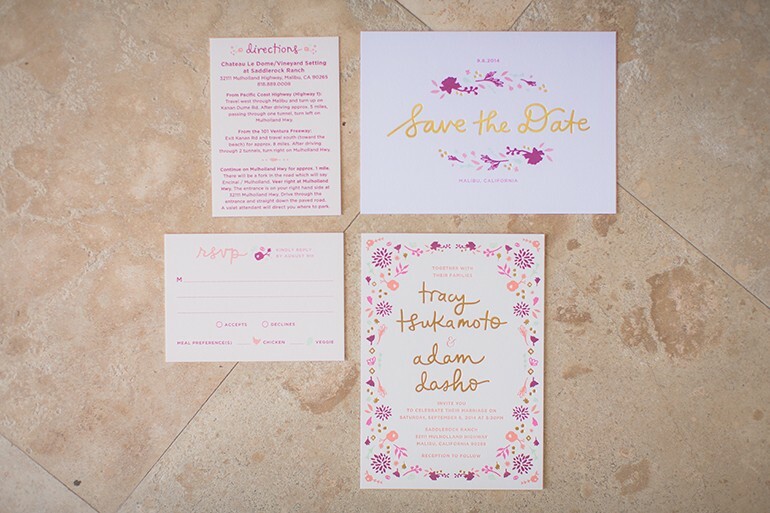 While swirly hand written scripts look romantic and dainty, a bold text looks hip and modern. 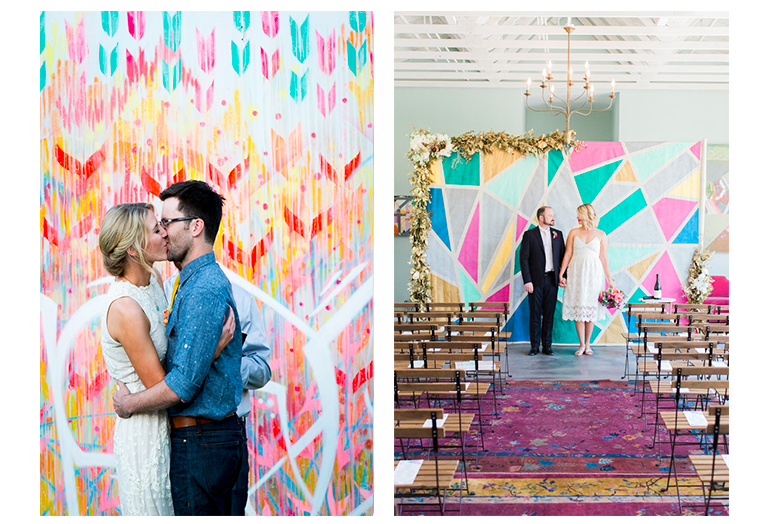 This funky backdrop is for couples who aren’t afraid to make a statement! 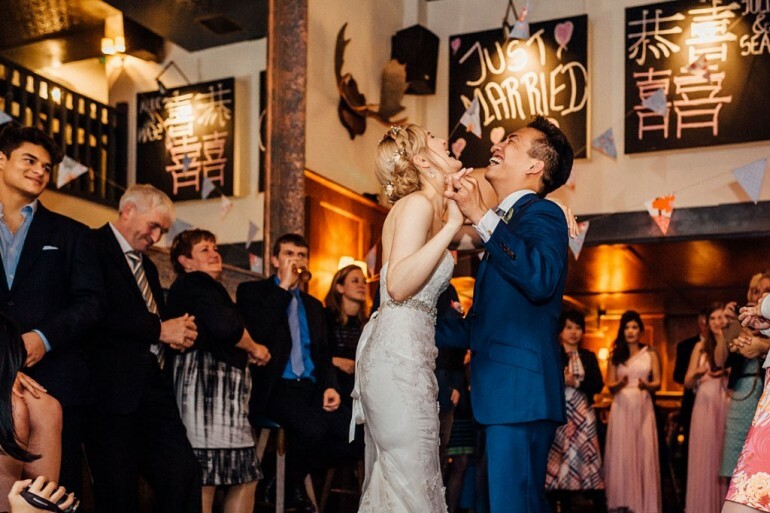 Adding graffiti to your ceremony backdrop might be an idea that terrifies your traditional granny, but we think this wild effect can actually be quite glamorous. 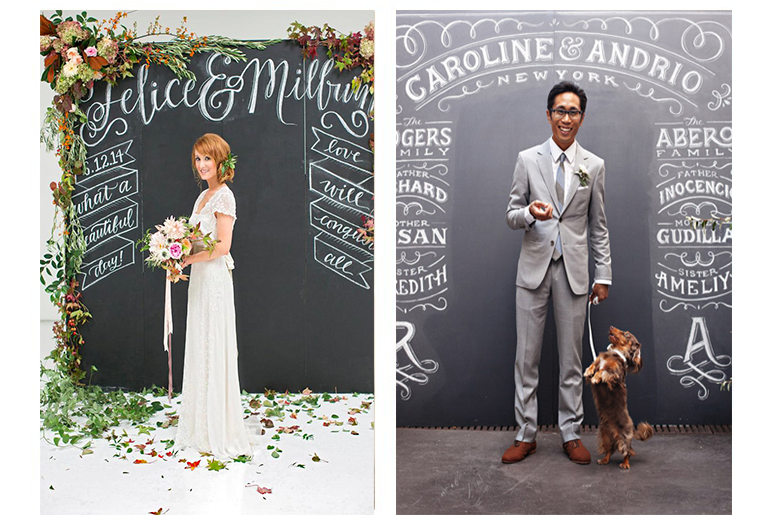 Depending on the color choice and pattern, graffiti can range from wild and bold to structured and tasteful. 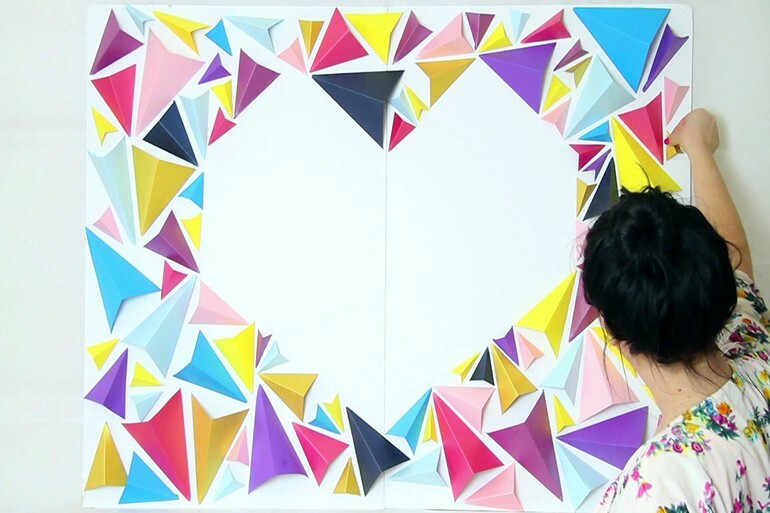 If you’re not a natural artist but love this look, a geometric pattern with pops of bright color is a fairly easy DIY version that has a similar effect. 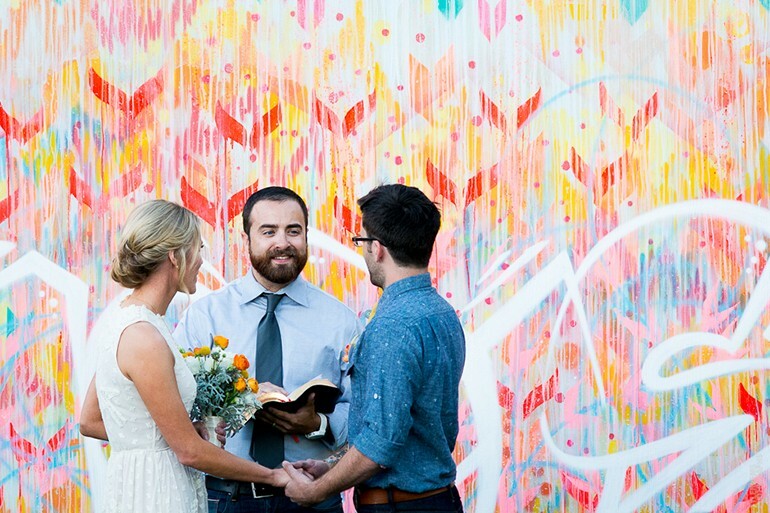 If you want to add some color to your space but not so much that you’re up for standing in front of a complete mural, ribbons are the way to go! 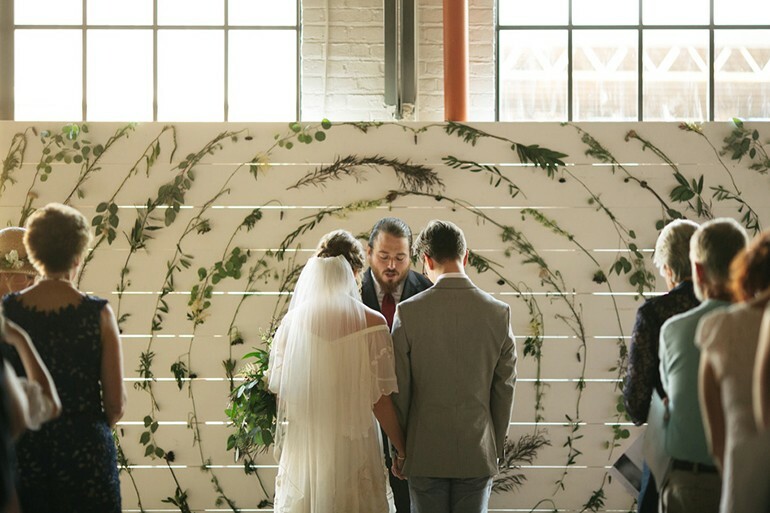 A ribbon wall allows you to add some color and texture to your ceremony while still keeping the overall feel light and airy. 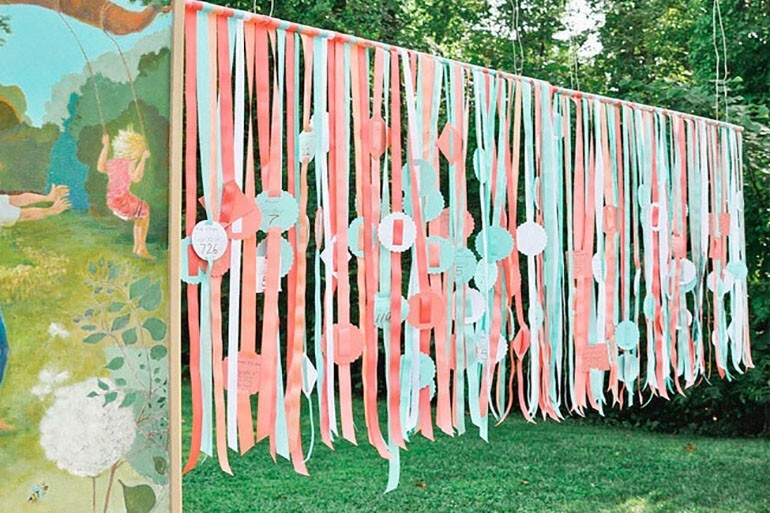 Light colored ribbons make a soft romantic ambiance while colorful ribbons look playful and free-spirited. 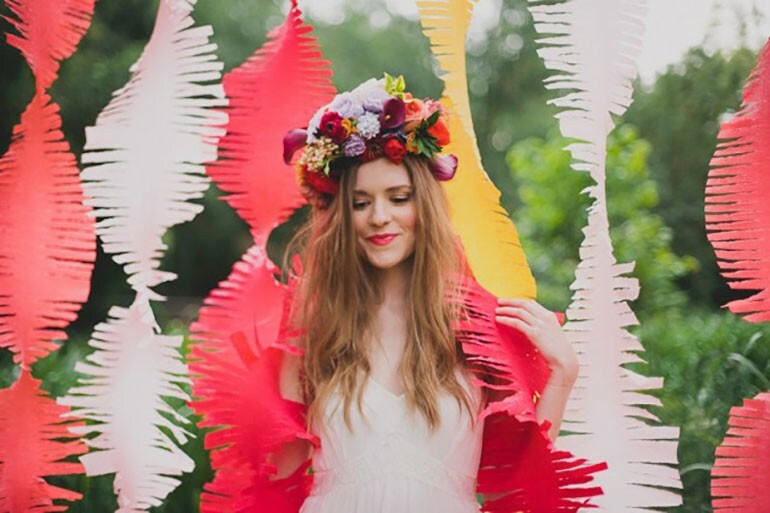 Paper backdrops will evoke the inner DIY gods and goddesses within you. Paper texture and color are important things to consider when initially crafting your design. 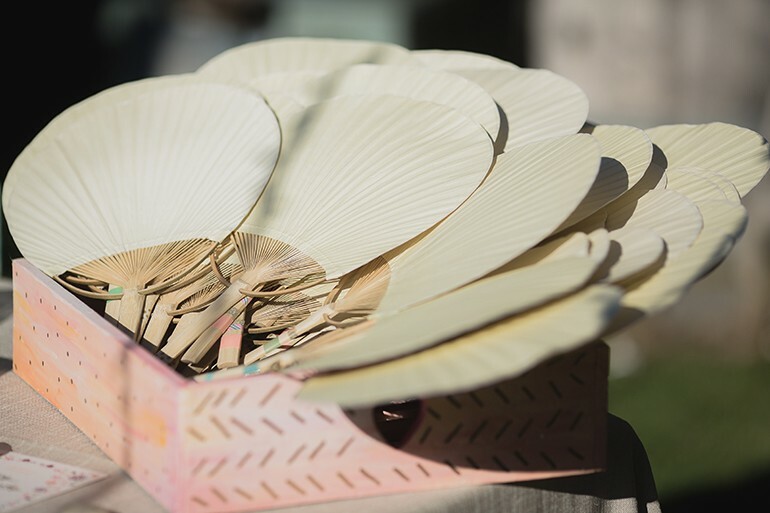 You want your pretty paper creation to fit seamlessly into the overall day-of-design plan. 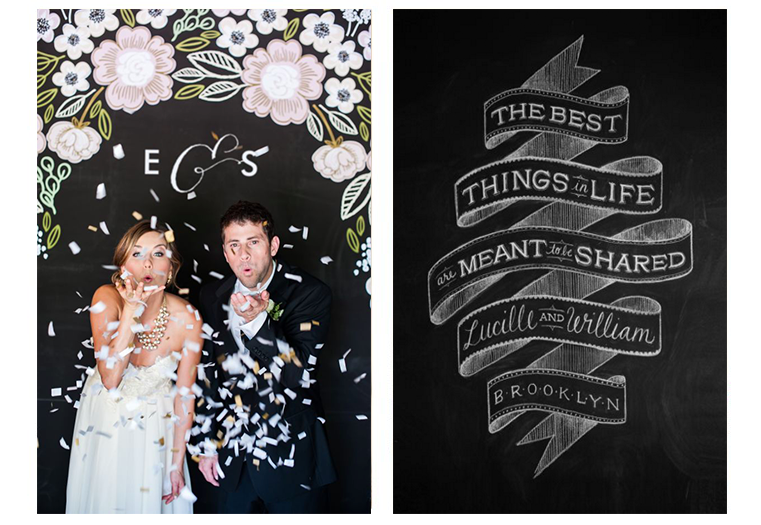 There are so many different ways to re-work paper into a fun and personalized backdrop. 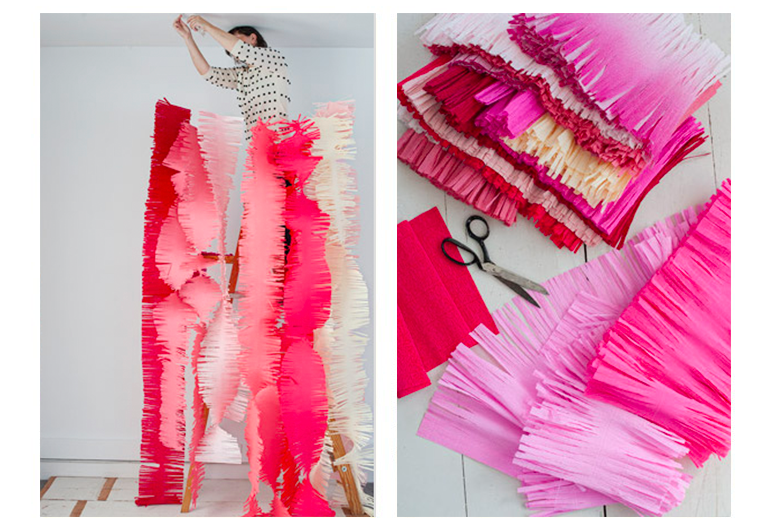 Be it creative cut-outs or home-made paper fringe, once couples get crafting, the sky really is the limit. 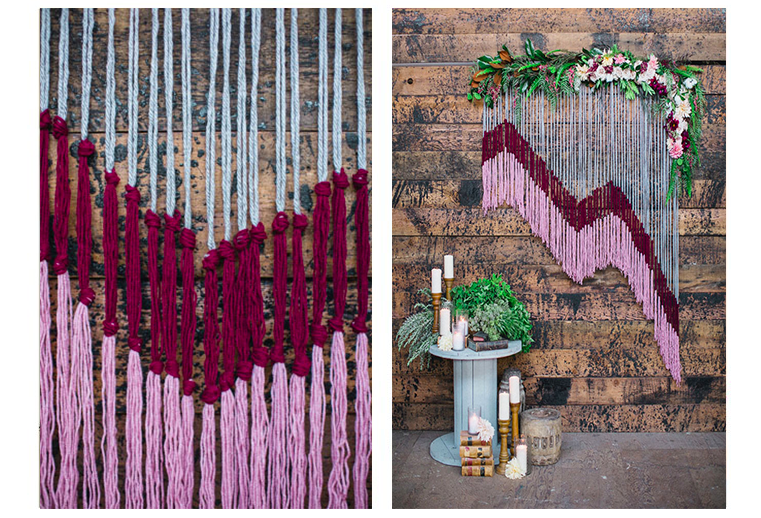 Unless you’re an expert knitter, we can bet you’ve never considered making a yarn ceremony backdrop. 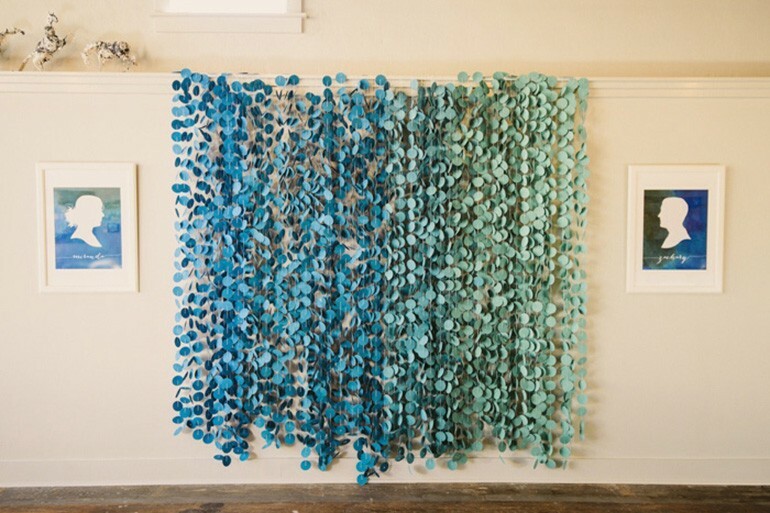 However, after seeing these whimsical yarn creations, we can guarantee that you won’t be questioning this creative treatment any longer. 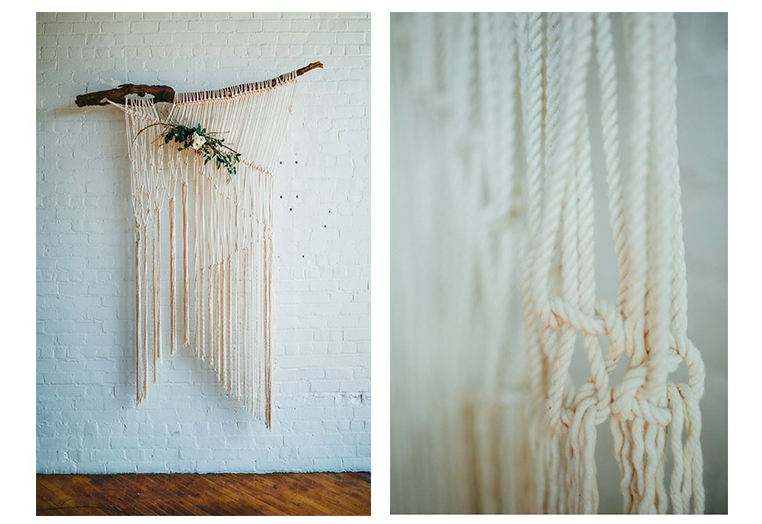 Yarn backdrops truly add a touch of romance to your space. 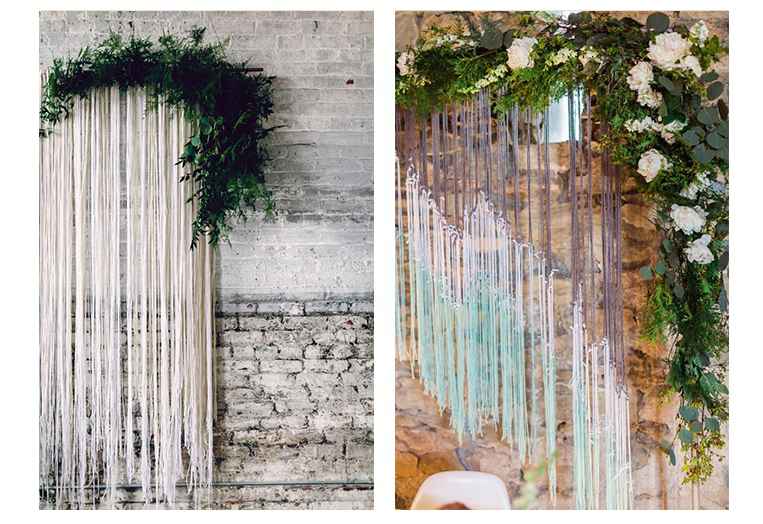 We’re especially swooning over these soft strings when they’re paired with lush greenery and vibrant florals. 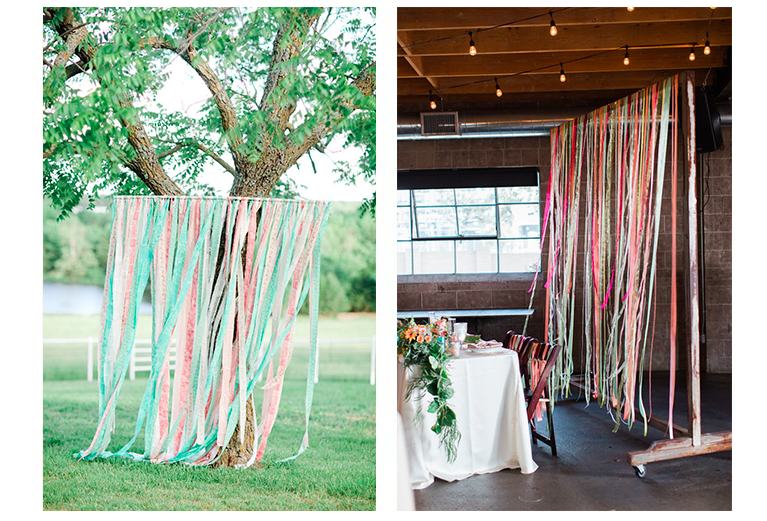 If you want a sophisticated-bohemian look, yards of yarn are meant for you! 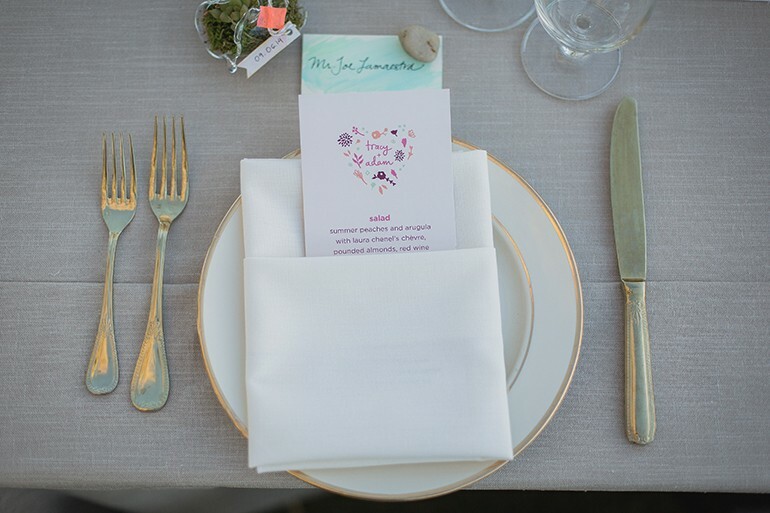 As you may already know, we seriously love to use metallic elements in our weddings. 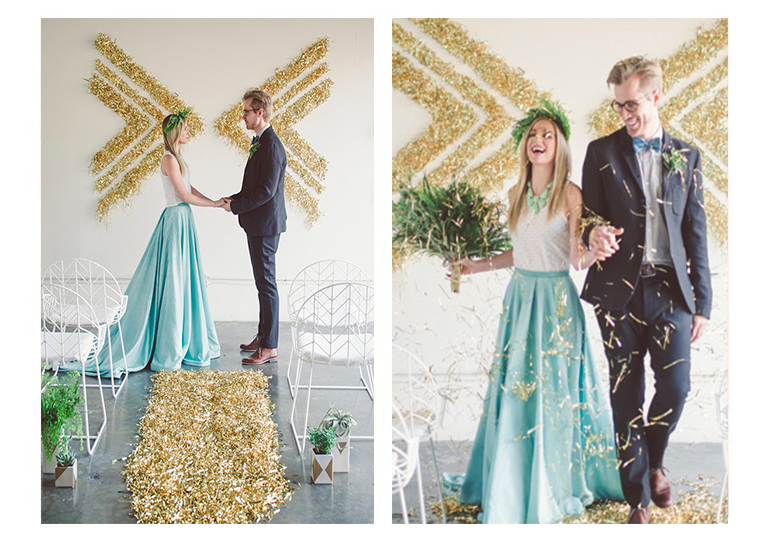 Therefore, it might not come as a surprise that we are all for ceremony backdrops that sparkle and shine. 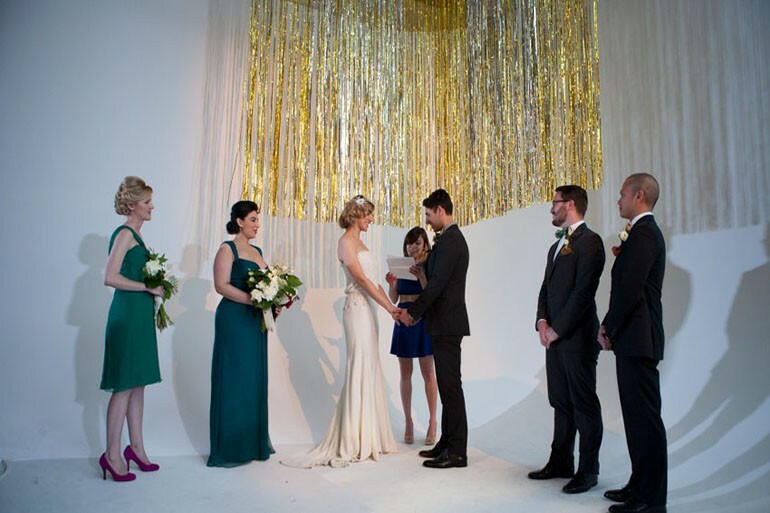 Incorporating touches of metallic into your ceremony backdrop gives some pizzazz to your party space. While completely shimmery walls create a bright and bold statement, smaller shining elements make a less vibrant but equally interesting impact. 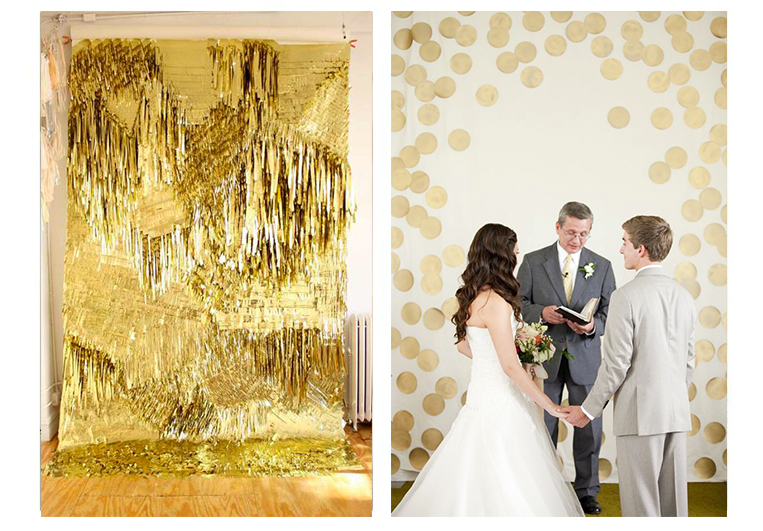 From metallic fringe to tinsel wall art, these shining backdrops are sure make your ceremony sparkle! 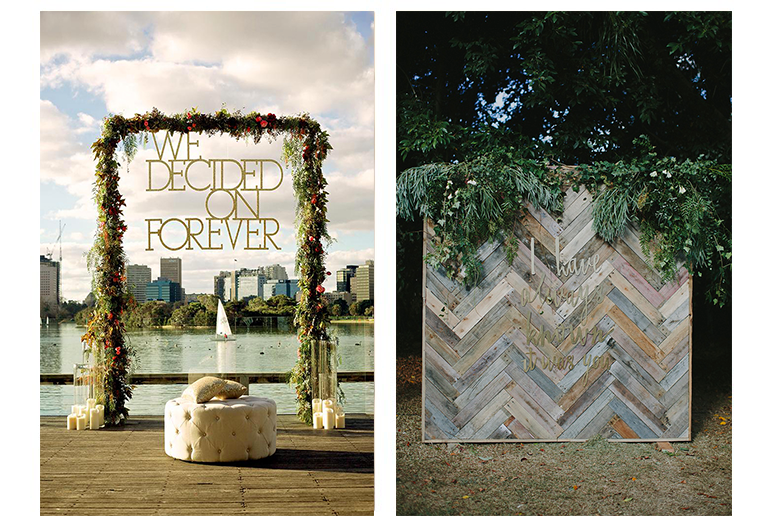 We hope these fun and funky backdrops have provided some inspiration for your own wedding day ceremony space. 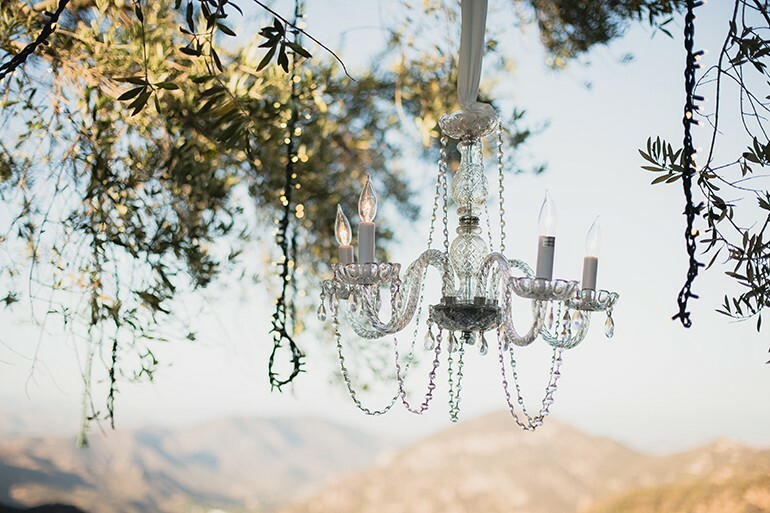 We encourage you to think outside-the-box and have fun expressing you and your significant other’s personal style throughout your wedding day design. 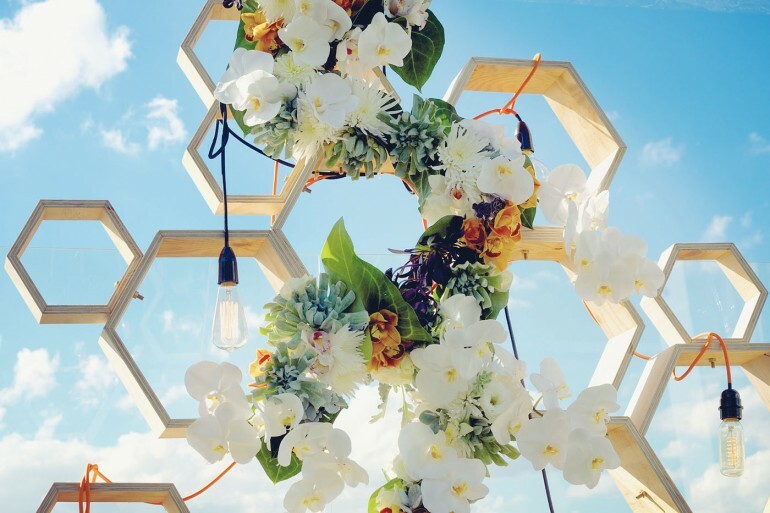 Even if you’re still leaning towards saying your “I-dos” under a classic flower arch, you can always apply these creative treatments to other aspects of your wedding-day design. 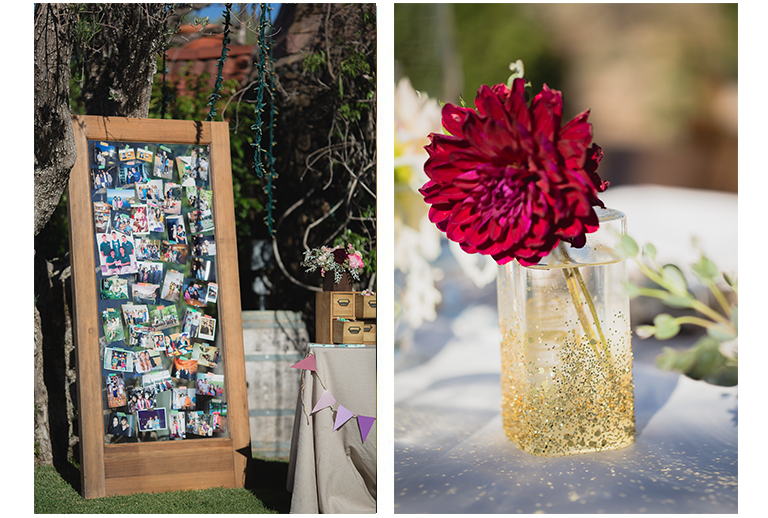 Many of these backdrops double as a cool photo-booth backdrop or simply work as a point of interest in your reception space. The possibilities are endless…all there’s left to do is get your design on! 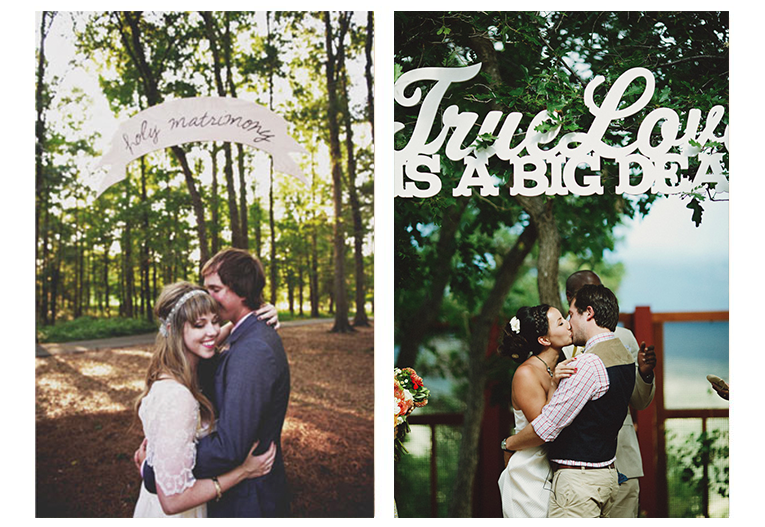 Image 1 by Lang Thomas Photography, Image 2 The Style Co., Image 3 left: The Style Co right: Andrew Abajian, Image 4 by Andrew Abajian, Image 5 left by Courtney Paige, Image 5 right by Amber Vickery, Image 6 by kyle hale, Image 7 by right kyle hale, Image 7 left by Jonas Peterson, Image 8 by Jonas peterson, Image 9 left by Hikari Photography, Image 9 right by Bek Grace, Image 10 Chloe Moore, image 11 right by Melanie Duerkopp, Image 11 left by Jenny Jimenez, image 12 by Jenny Jimenez, Image 13 right by Perez Photography, Image 13 left by Dana Tamamachi, Image 14 by Tyler Siems, Image 15 right by Tyler Siems, Image 15 left by Chloe Moore, Image 16 by John Newsome, Image 17 Chloe Moore, Image 18 right by Jordan Brittley, Image 18 left by Chloe Moore, Image 19 by Shannon Lee Miller, Image 20 Sarah Hebenstreit of Modern Kids Photography, Image 21 left & right by Sarah Hebenstreit of Modern Kids Photography, Image 22 by Stephanie Rose, Image 23 left & right by Ruffled blog, Image 24 left by Dan Fredo, Image 24 right by Lauren Fair, Image 25 by Lauren Fair, Image 26 left & right by Erin Trimble, Image 27 left and right by Jasmine Star, Image 28 by Jean Spencer, Image 29 left & right by Jenny Smith and Co., Image 30 by Capture Pod, Image 31 left by Ritzybee, Image 31 right by Genevieve Renee, Image 32 by Bespoke Bride. 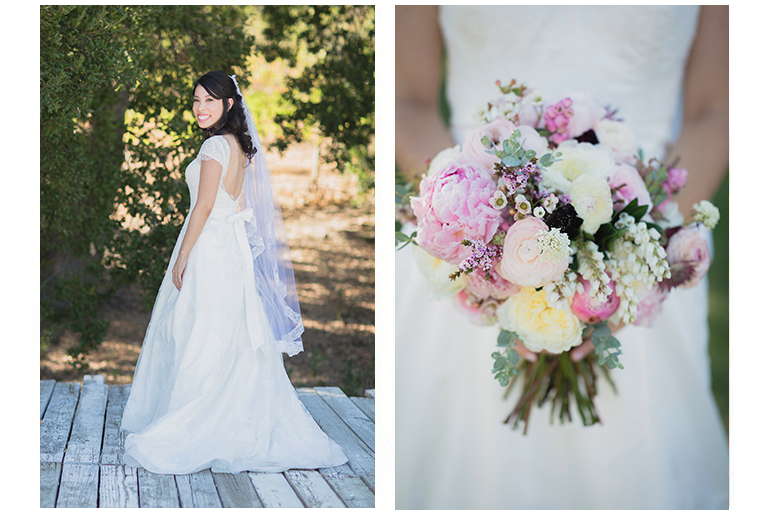 Sweet Saddlerock Ranch Wedding: Tracy & Adam Married! 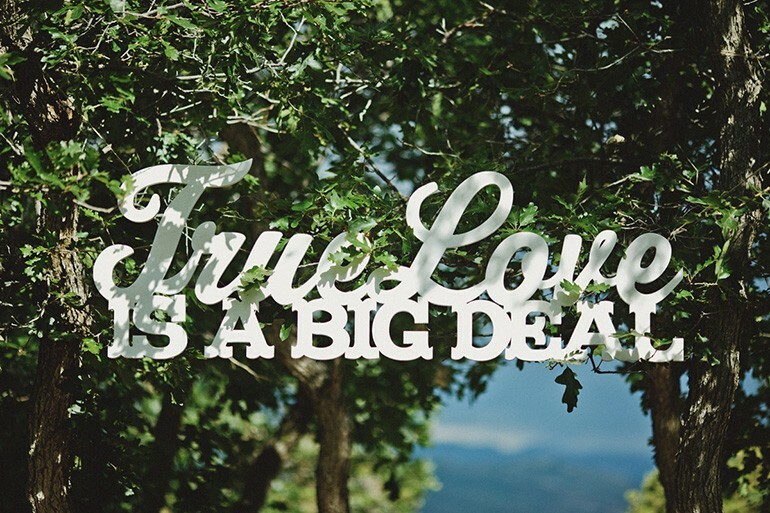 Today I get the pleasure of sharing Tracy & Adam’s wedding with you. Every year I get that one couple who is sweet as pie. Tracy & Adam were that couple for me in 2014. Believe me when I tell you that there isn’t an unkind bone in either of their cute little bodies. I just adore them! 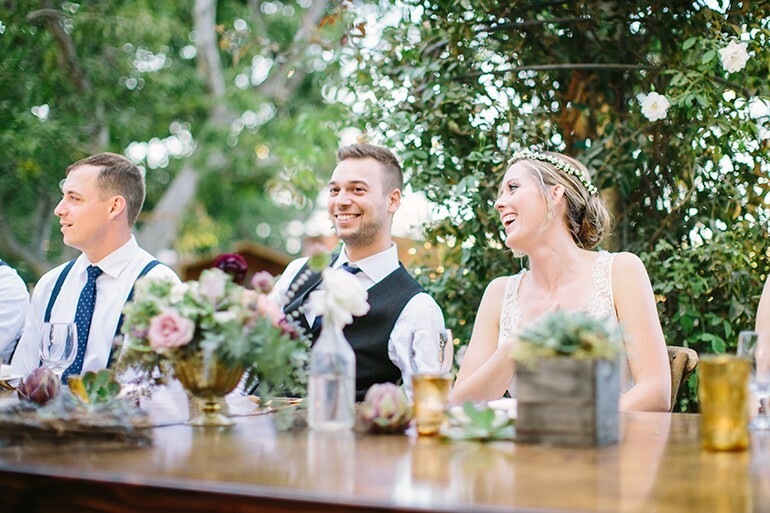 They wanted a small, laid-back celebration in a naturally beautiful setting. 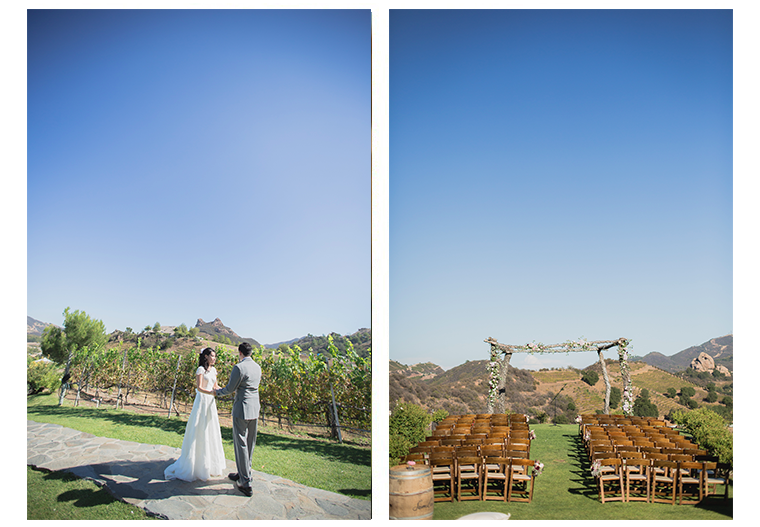 From the moment they saw the Dome at Saddlerock Ranch, they knew they had found “the one” (the one venue, that is). 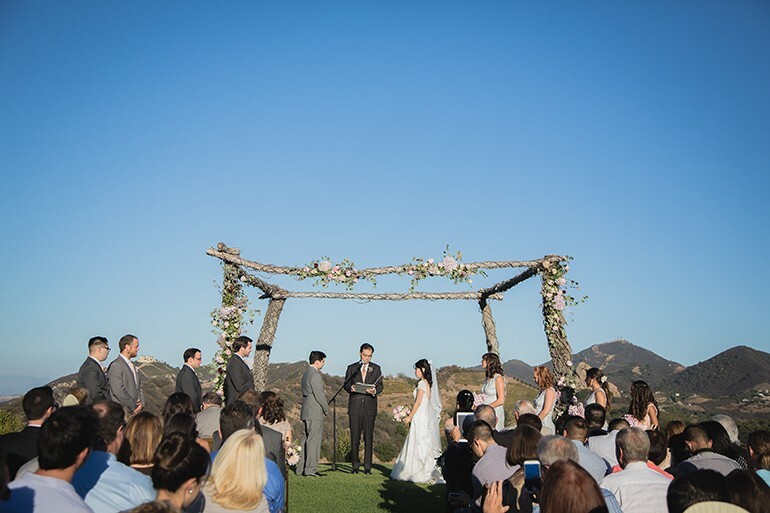 With the vineyard in the backdrop and rolling hills surrounding the property, it was the perfect intimate scene for their celebration. 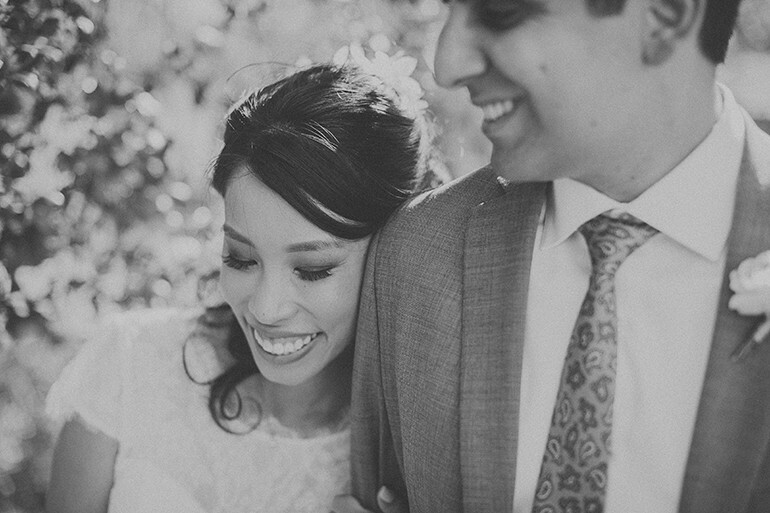 These loves-birds had been together forever, and gotten engaged long before their wedding date, so we had plenty of time to cultivate each and every sweet detail of their day. 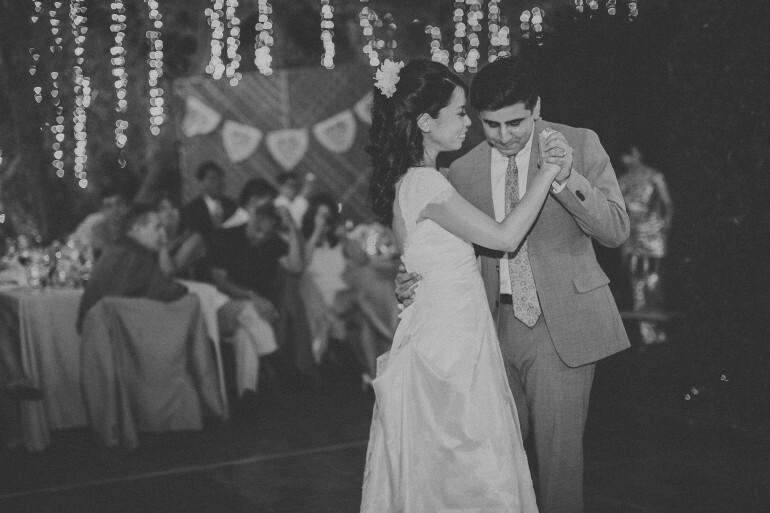 One of the things I loved about this couple was how completely themselves they were. 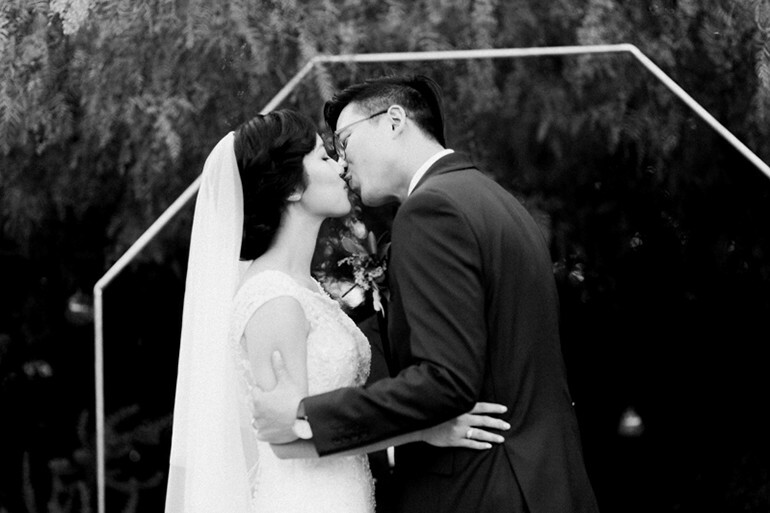 We collaborated together to weave small, personal details into the fabric of their aesthetic that would genuinely reflect who they are as a couple. 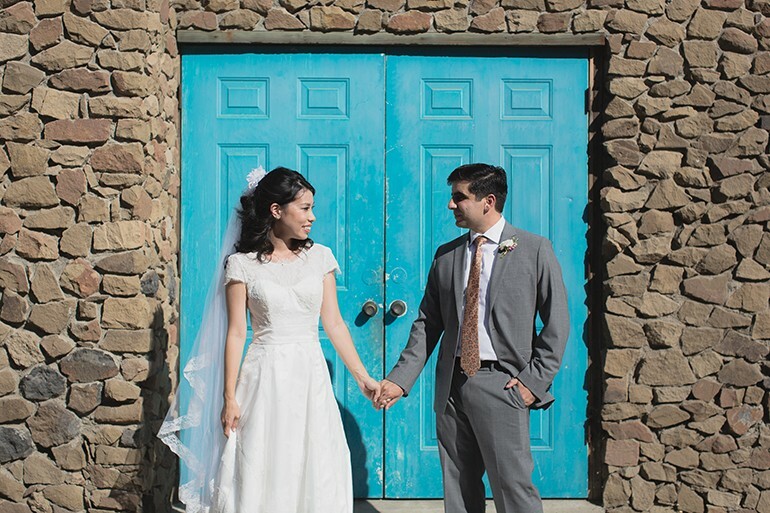 Overall, Tracy & Adam’s look was soft and easy, with a few bold and textured pops throughout. 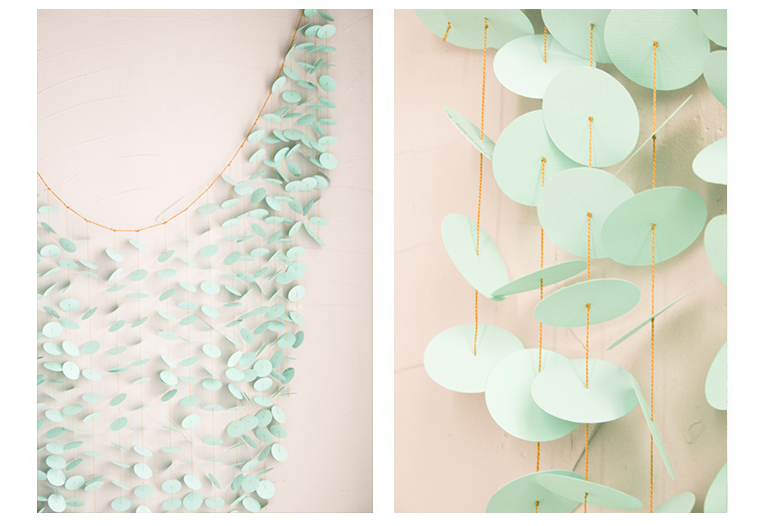 We used mostly whites, greens and a variety of pink shades to craft their color story. 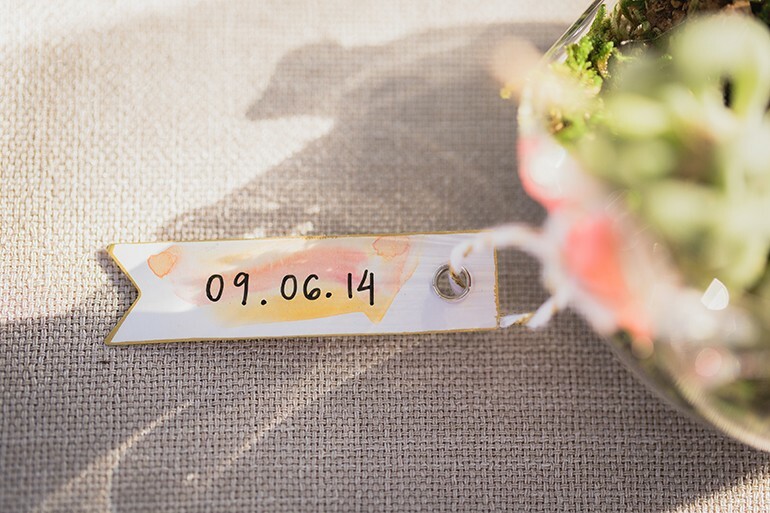 The diluted watercolors on signs and tags further emphasized the light and airy feel of the wedding. 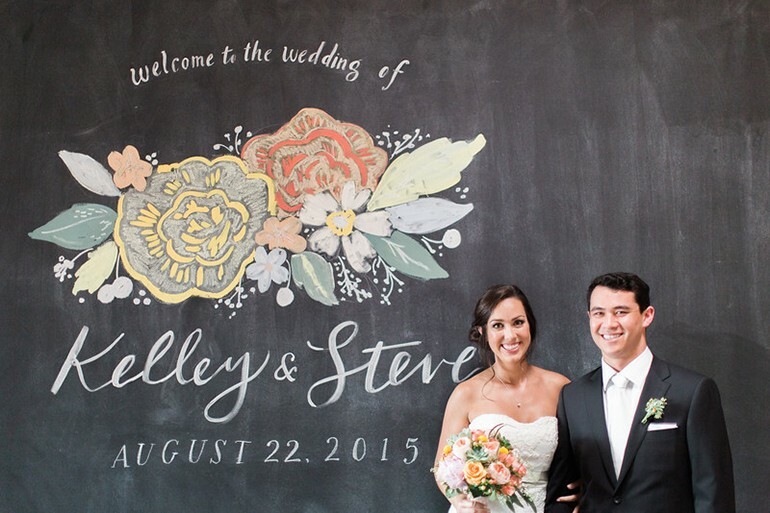 Tracy loves flowers, so we made sure that the event was full of beautiful blooms. 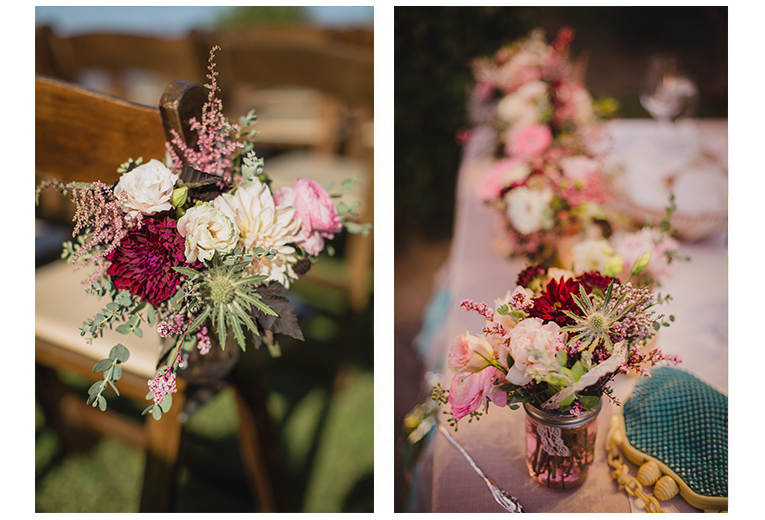 These florals were mimicked on the sweet window seating chart. 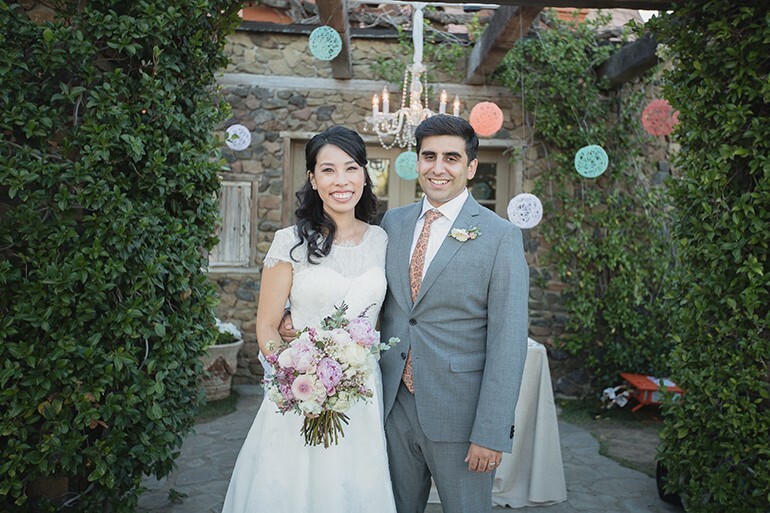 Adam & Tracy’s good friend Alexis also incorporated sweet flowers into a custom designed invitation suite for the couple. 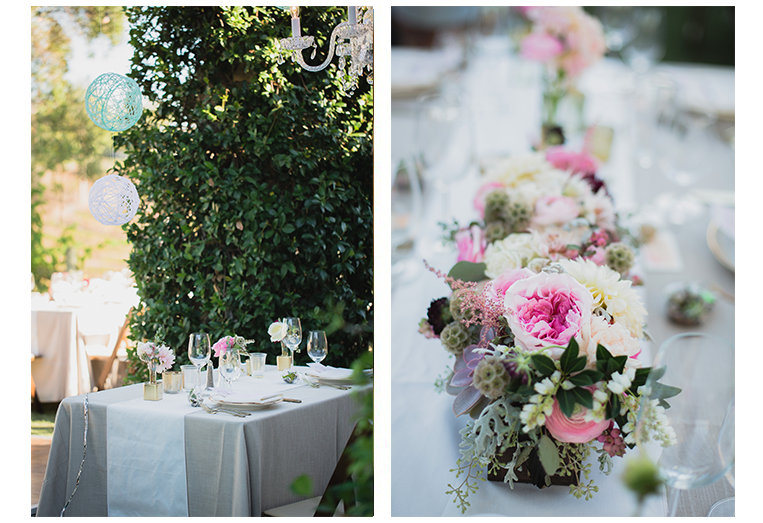 Together the colors and details of the day resulted in an organic and simple look with touches of nostalgia. Tracy worked her little fingers to the bone crafting and DIYing up until the week of the wedding. 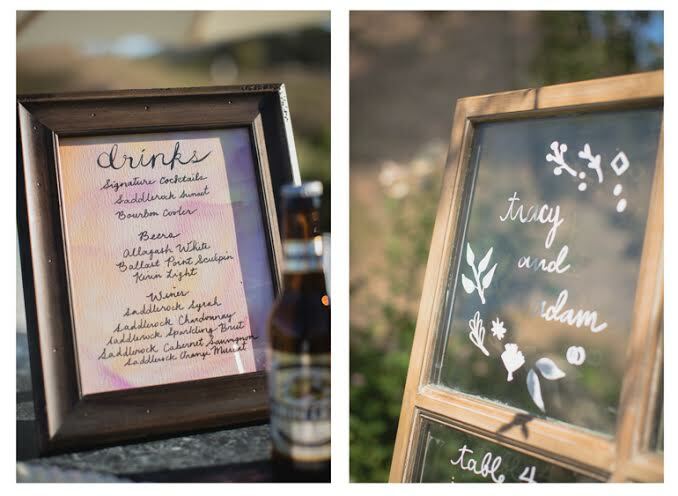 Pretty much every handmade detail was Tracy’s own labor of love: from the watercolor stained calligraphy style place cards and favor tags to the window art and signage. 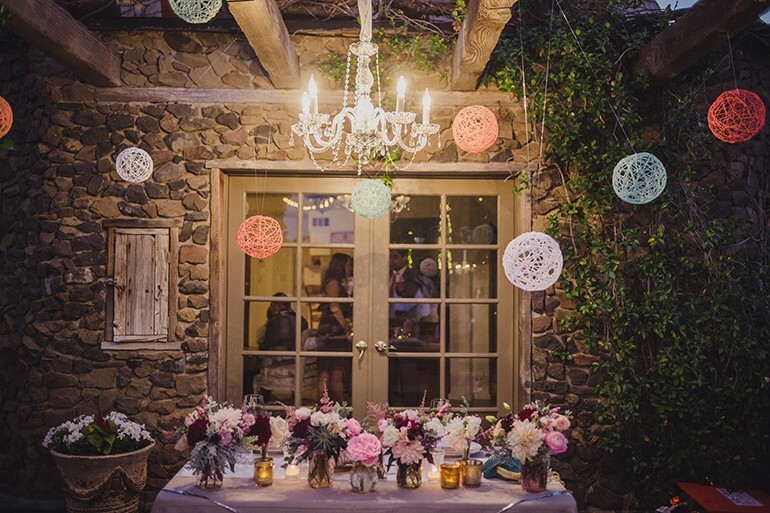 We hung variously colored and sized delicate yarn balls over the sweetheart table (love it). 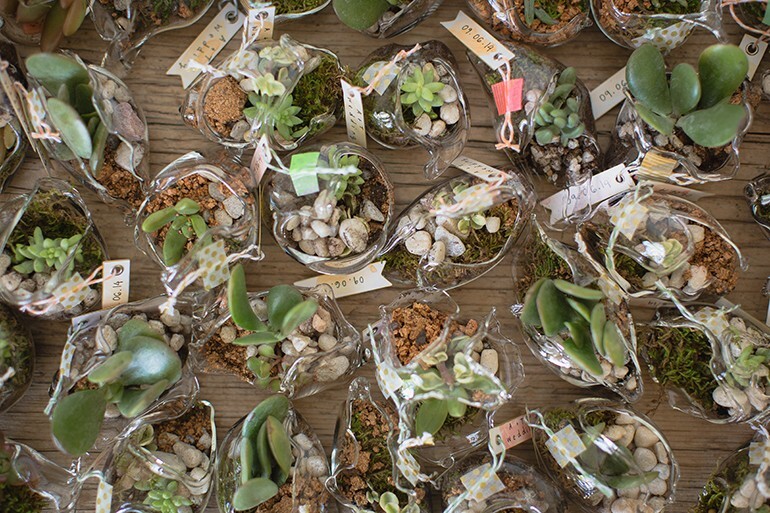 On the morning of the wedding, everyone in the bridal party pitched in potting little succulents in miniature glass terrariums, which we later displayed at each place setting as the guests’ favor. 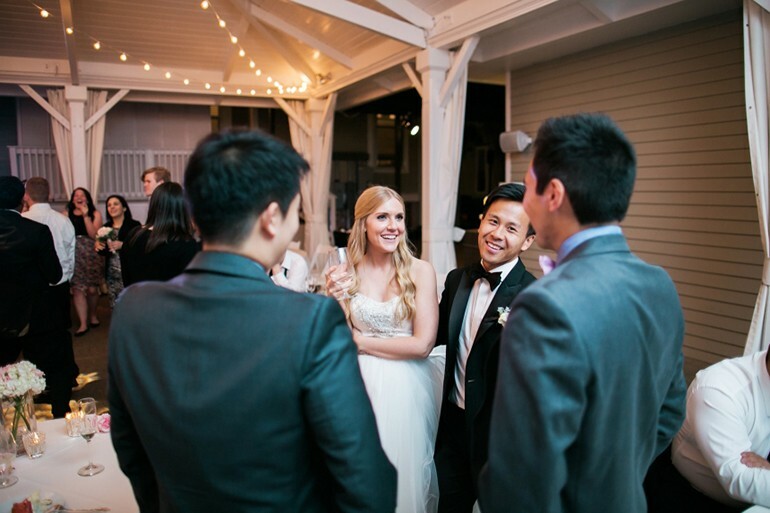 It was important to the couple that their guests know how much it meant to the newlyweds for each of them to be there. 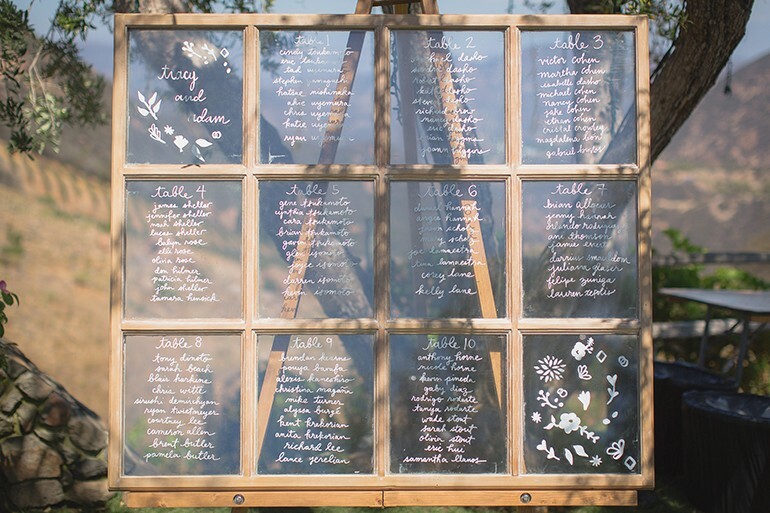 The couple gathered images of everyone at their wedding and created a collage on a glass door. 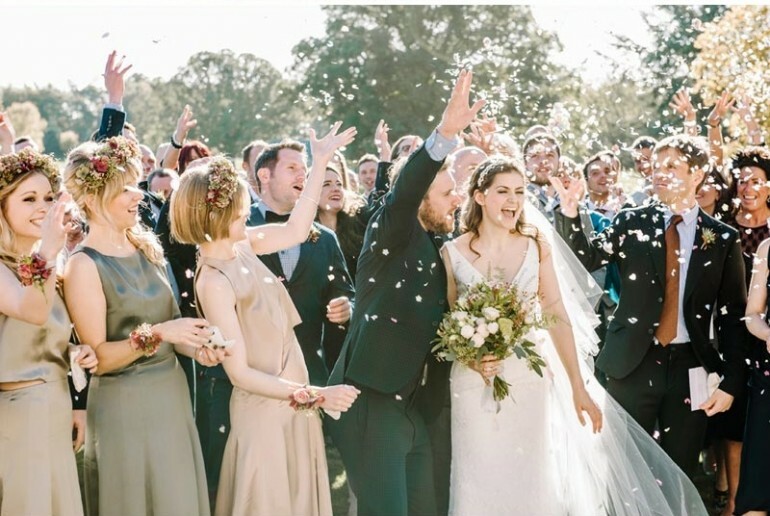 As the couple’s loved ones entered the vineyard, their own faces greeted them. It was so special. 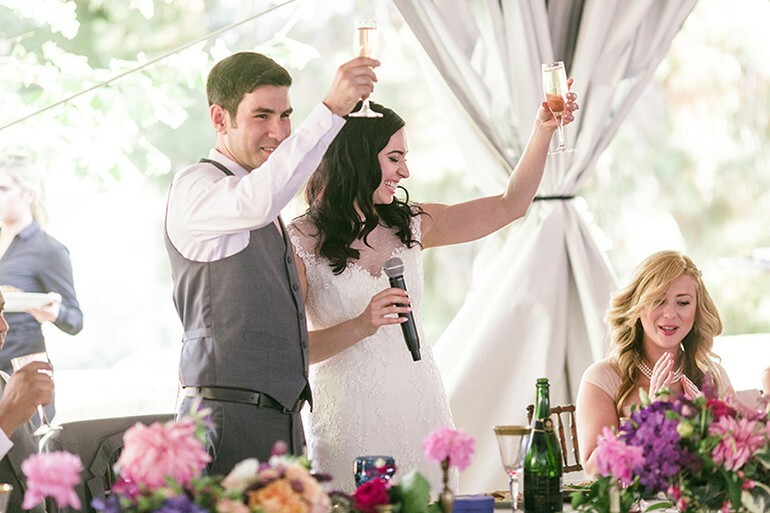 We worked to sprinkle personal details throughout the celebration. 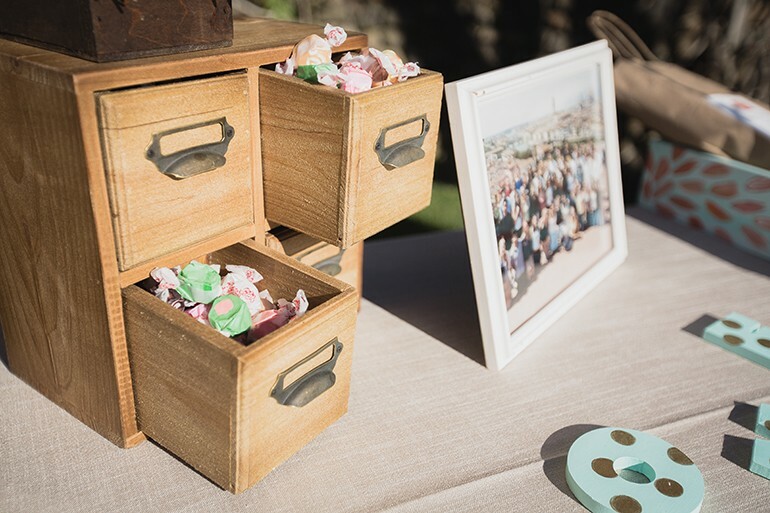 We placed the couple’s favorite candies in drawers for guests to snag on their way into the festivities. 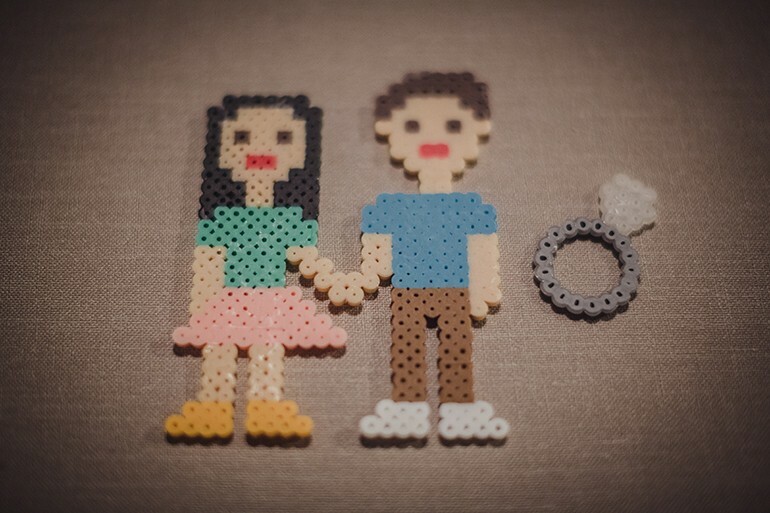 The couple gave us cute little symbols and chatchski items to place around. The food was absolutely amazing. 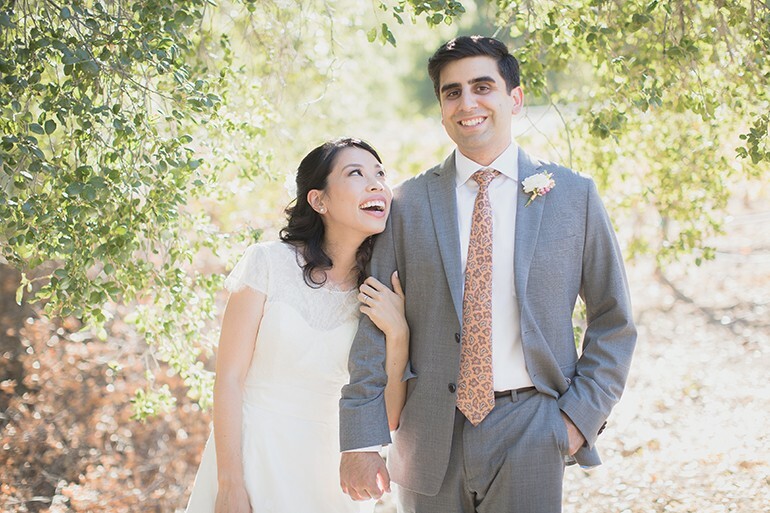 The bride and groom are vegetarians, so it was super important that they serve a killer veggie meal! Whoa Nelly just nailed it with a hearty veggie-based feast! After dinner guests were welcomed to cake and various sweets. 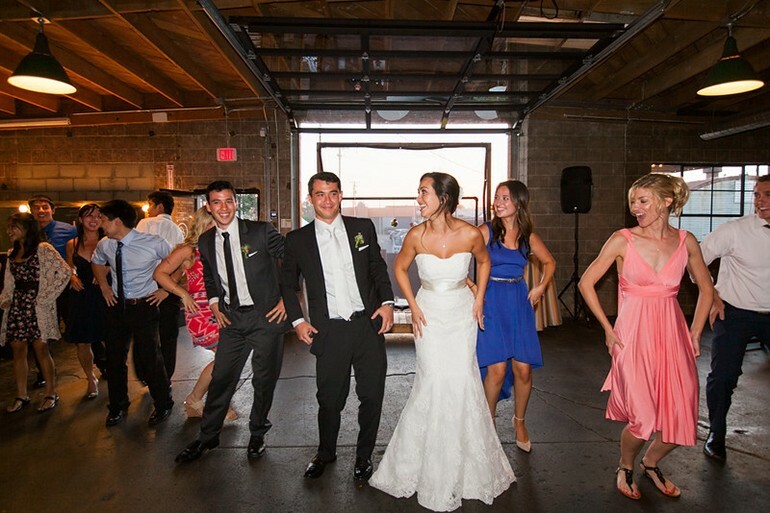 The music picked up and everyone danced the night away, only stopping momentarily for some late night fries!